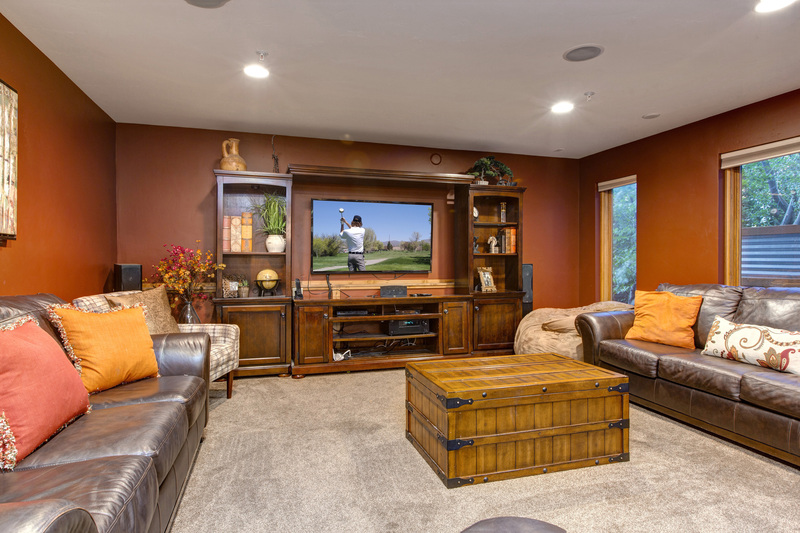 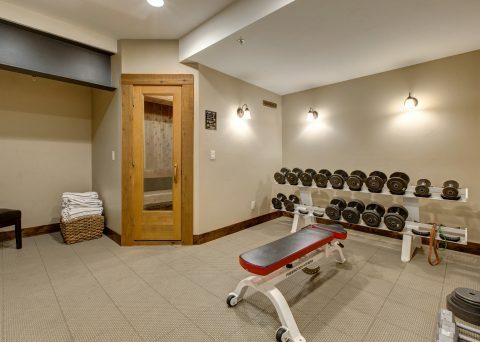 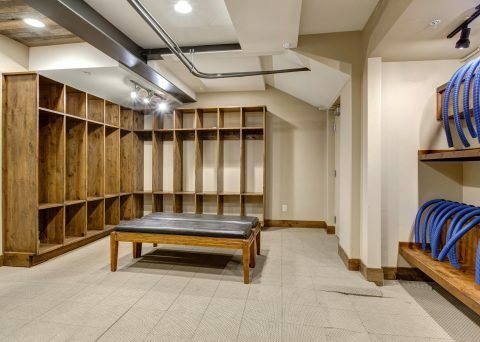 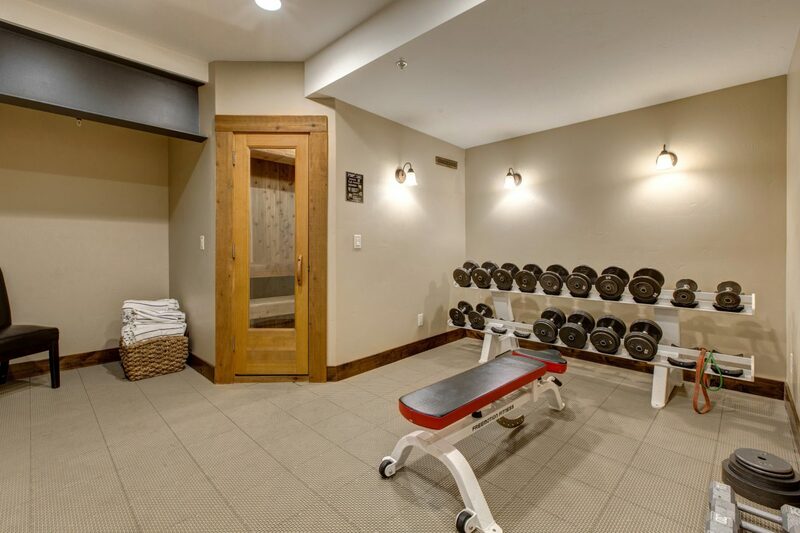 Start each day with a stretch in the exercise room, then retrieve your gear from the mudroom, which features custom wood lockers and boot warmers, and your car from the garage. 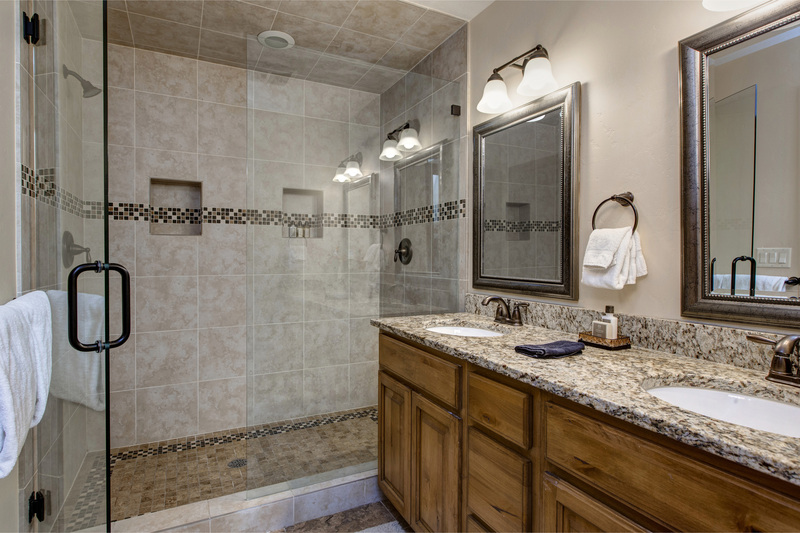 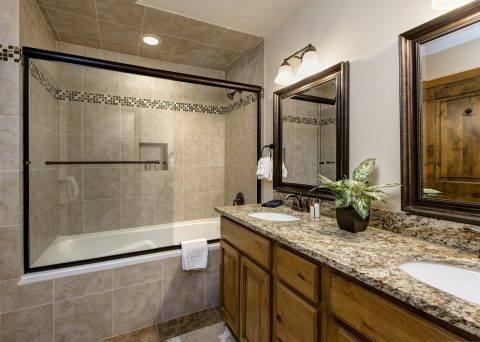 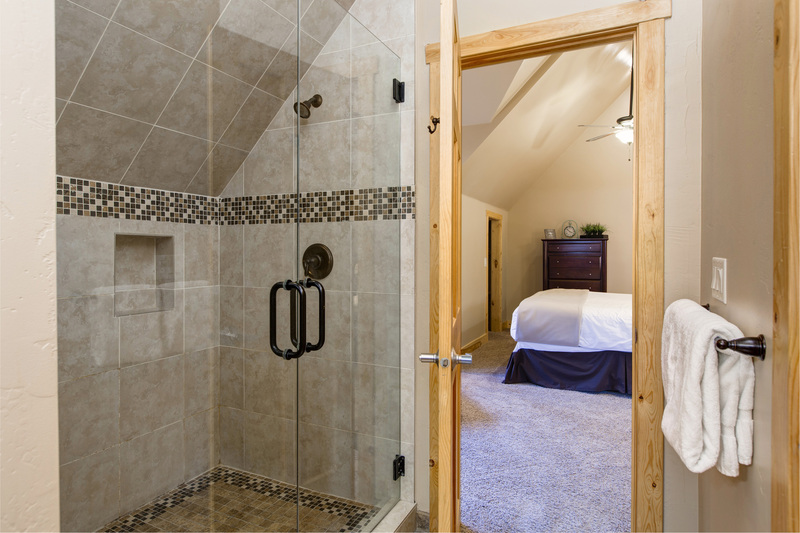 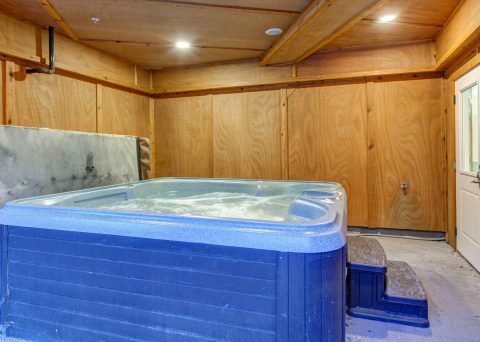 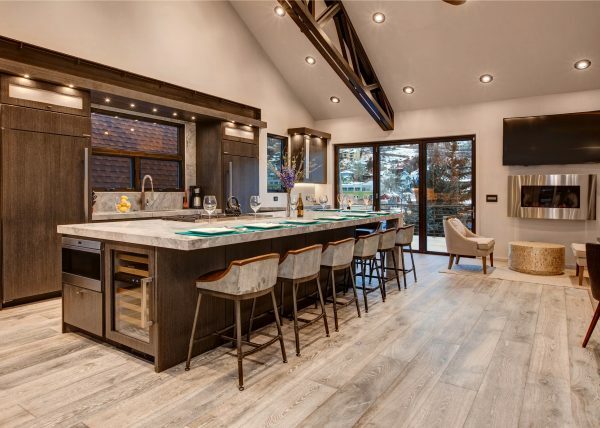 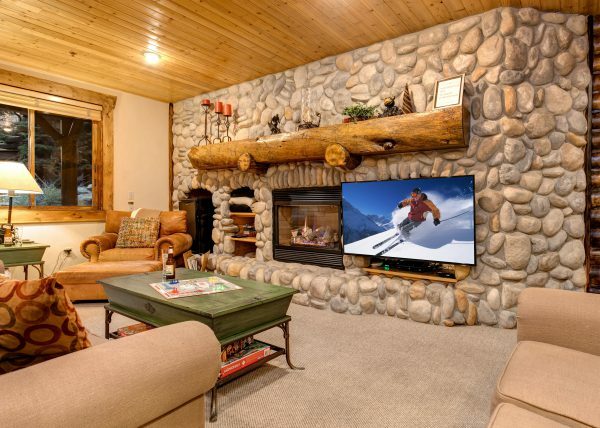 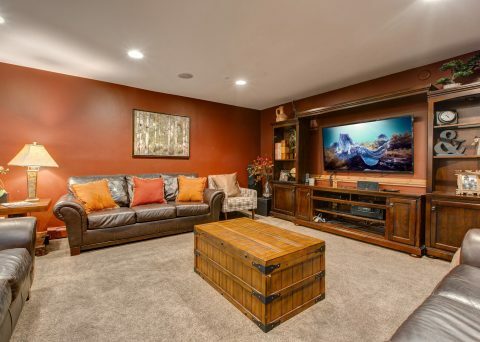 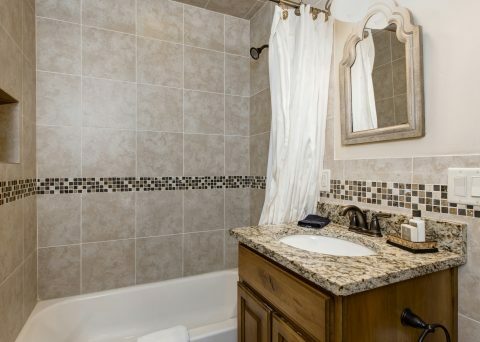 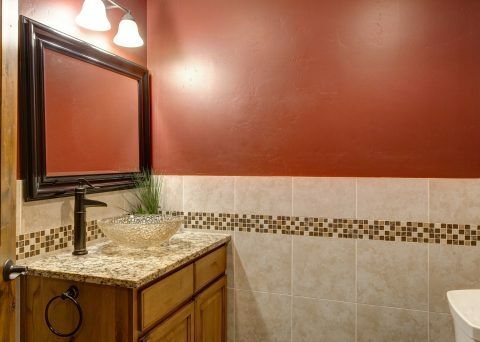 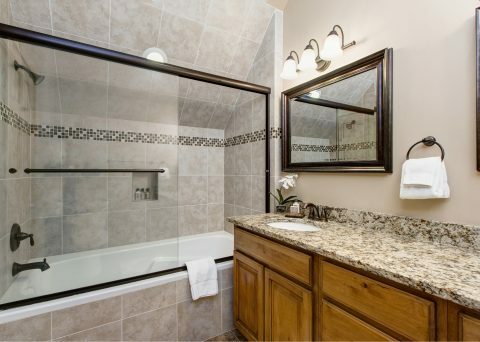 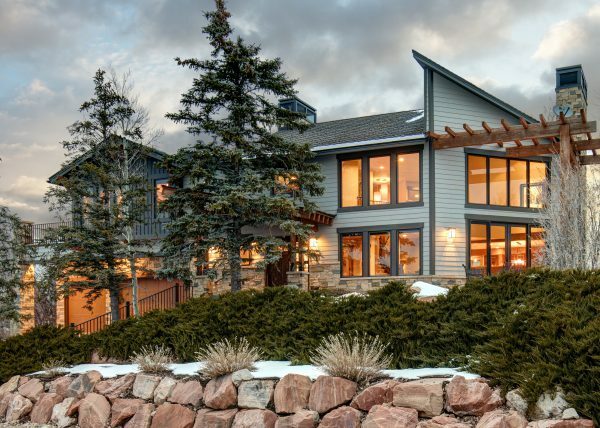 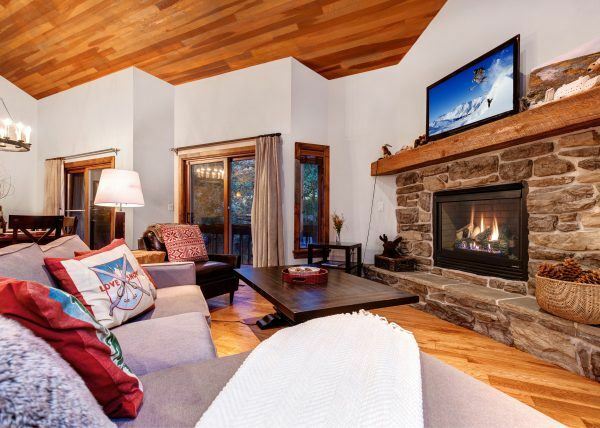 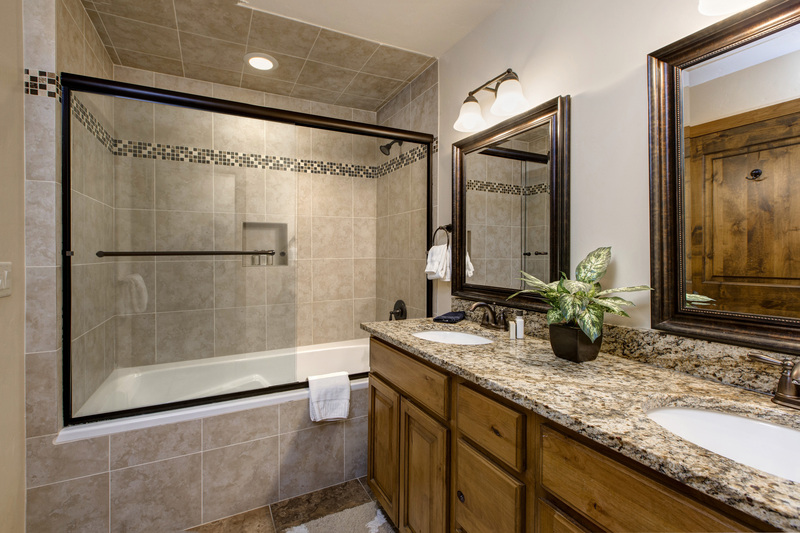 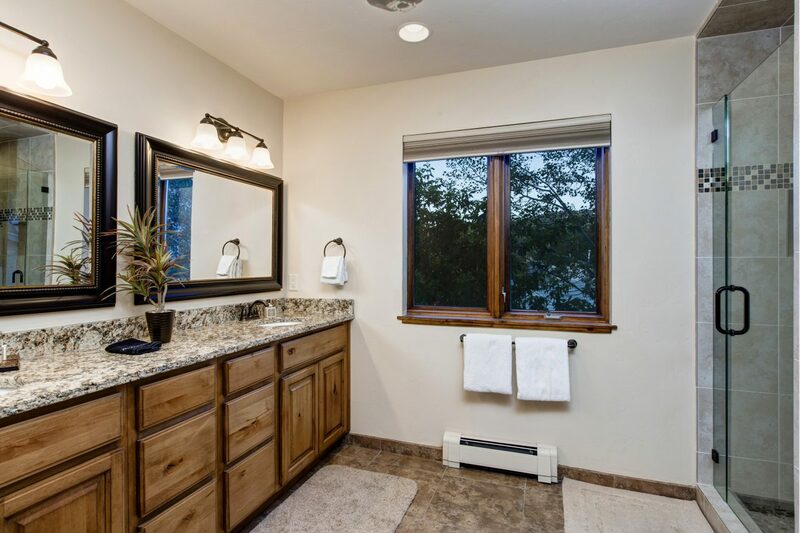 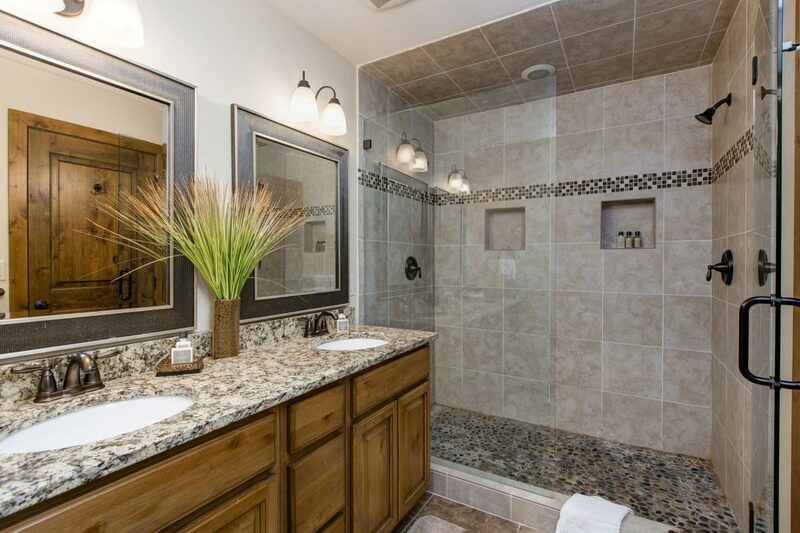 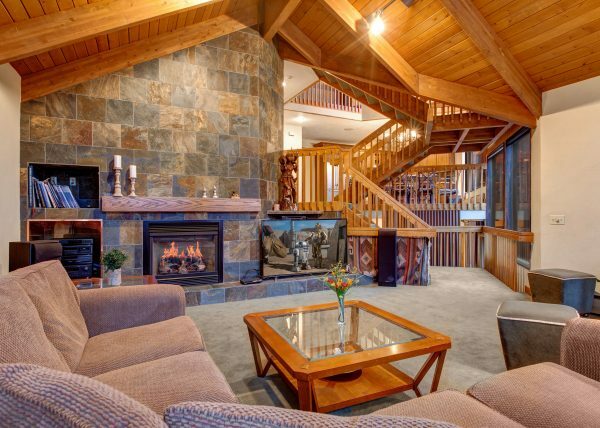 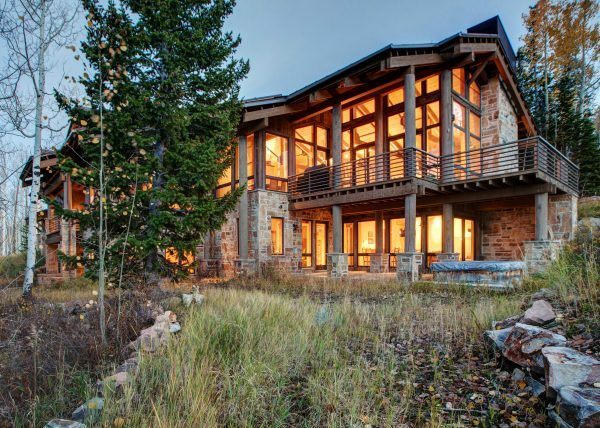 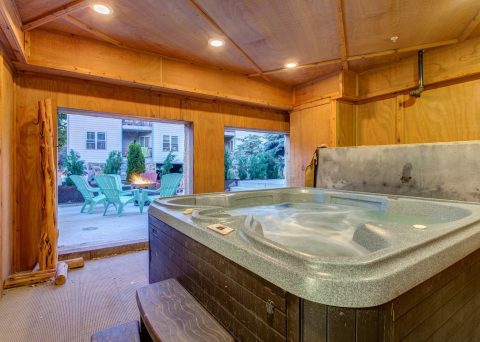 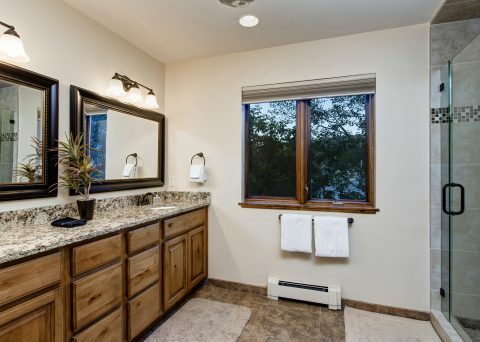 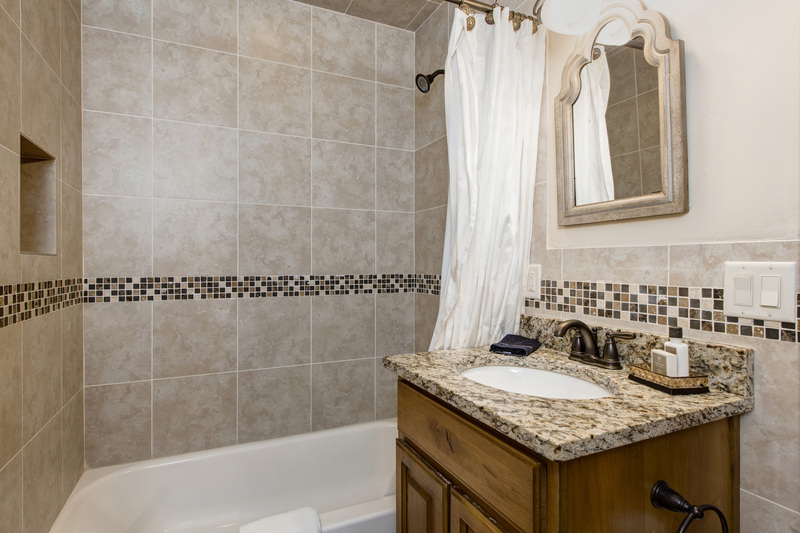 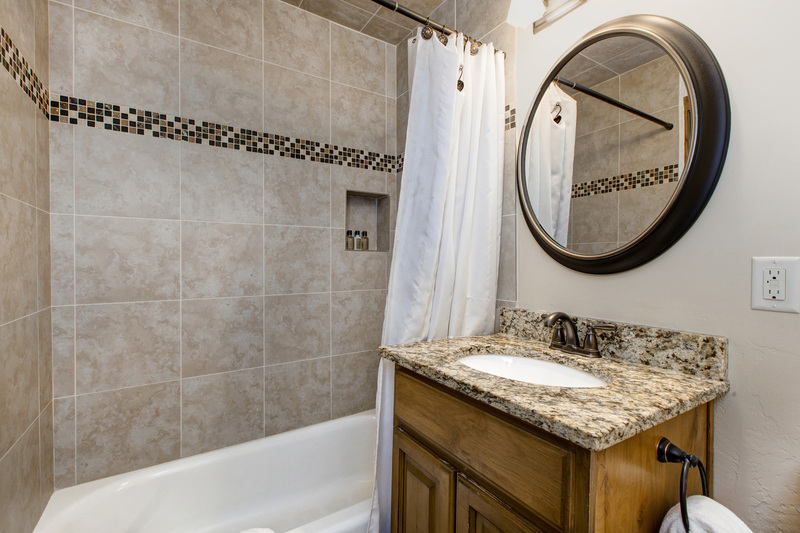 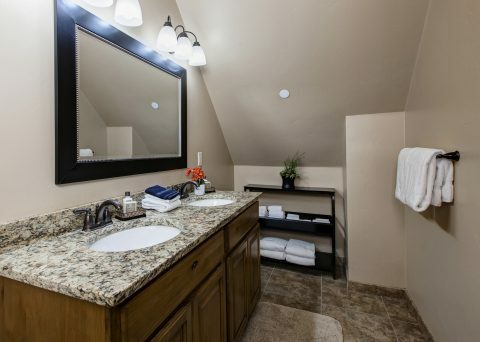 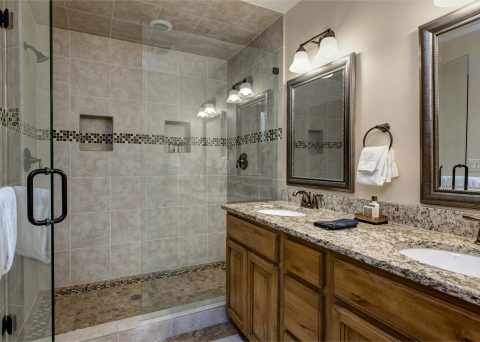 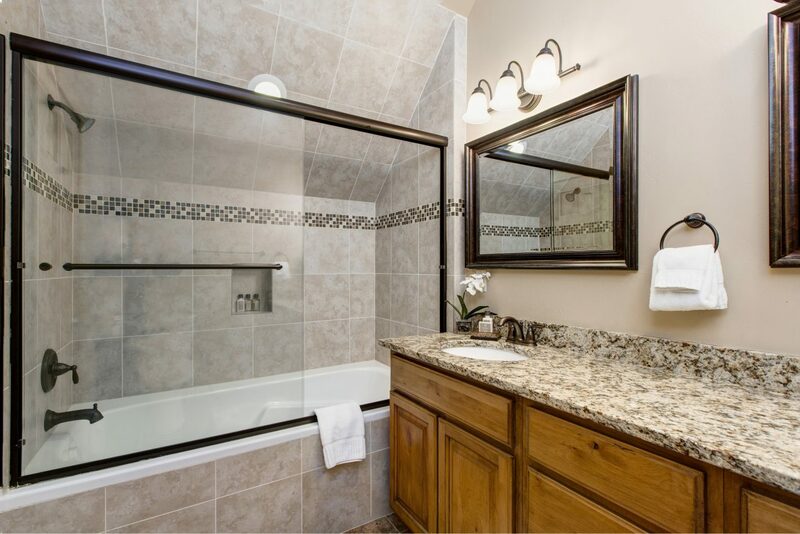 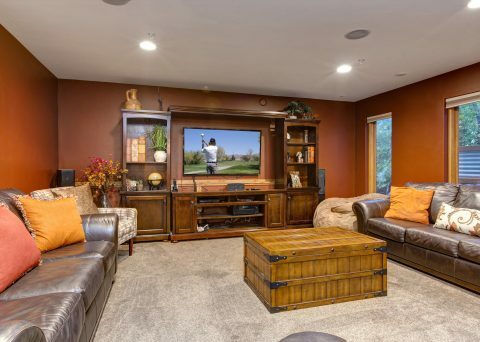 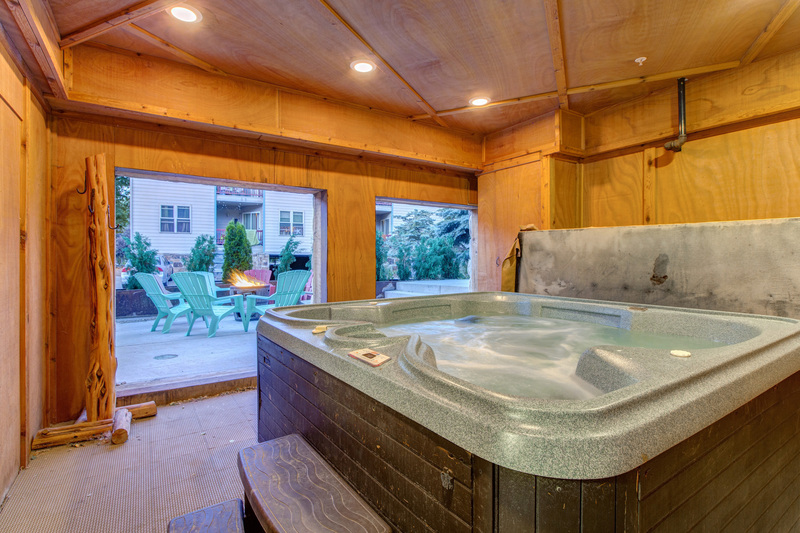 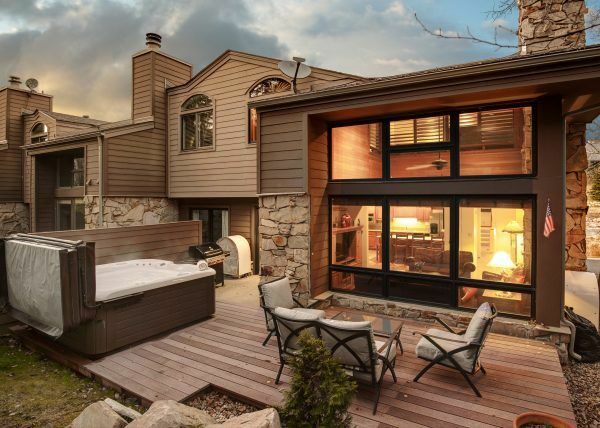 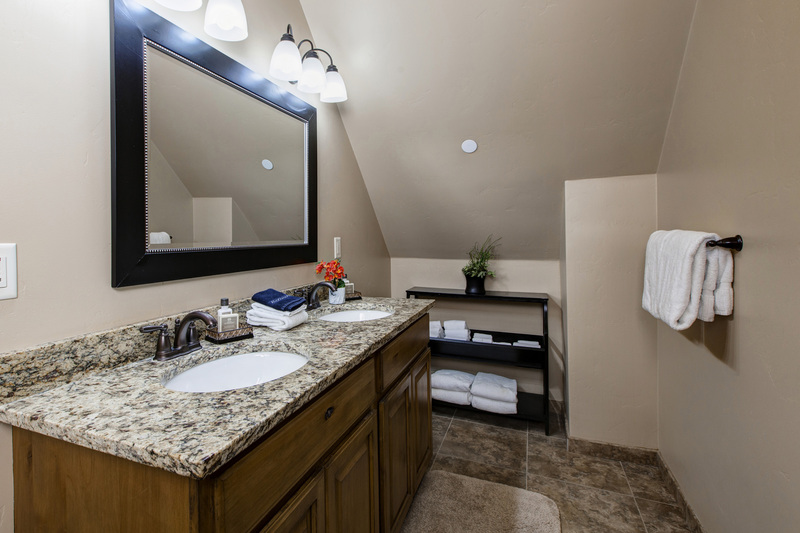 After a day on the slopes, trails or golf course, indulge in a soak in the outdoor hot tub or a session in the indoor sauna before heating up the barbecue or pouring a drink from the wet bar. 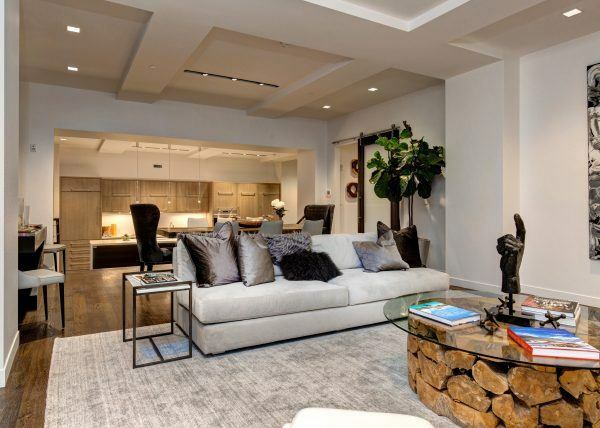 There’s a pool table in the great room for hours of fun, or you can relax by the fireplace and browse via the home’s Wi-Fi. 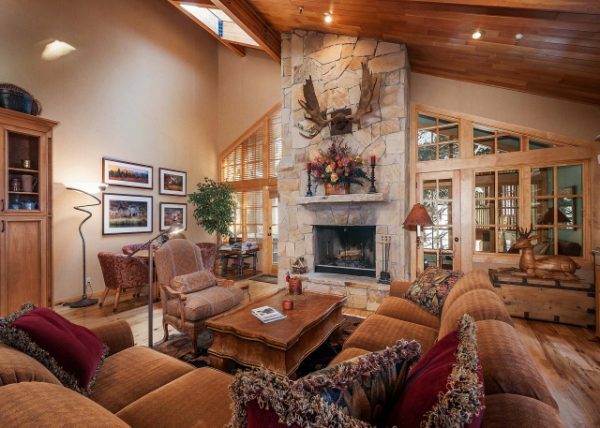 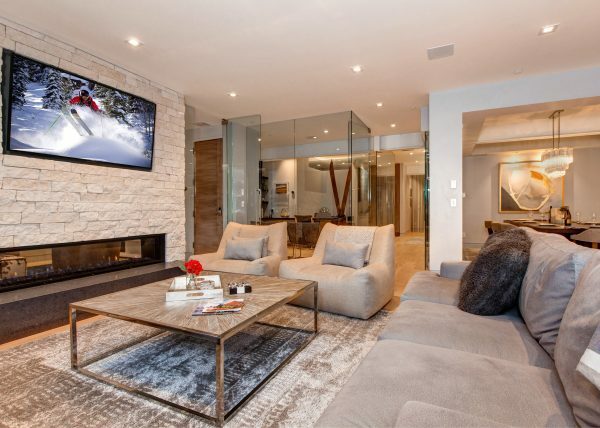 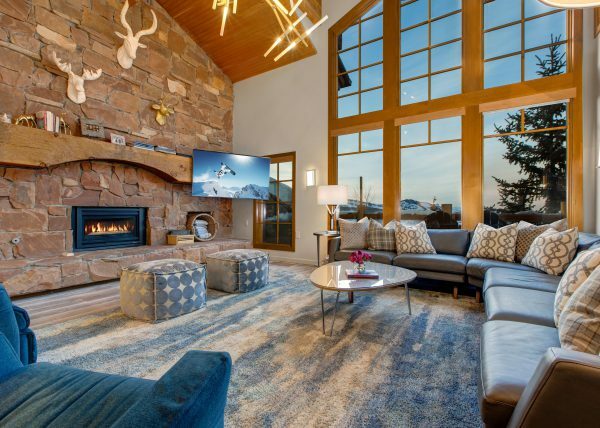 A holiday at Abode at Epic Lodge revolves around the spacious great room, which is outfitted in neutral tones for a relaxed, inviting atmosphere. 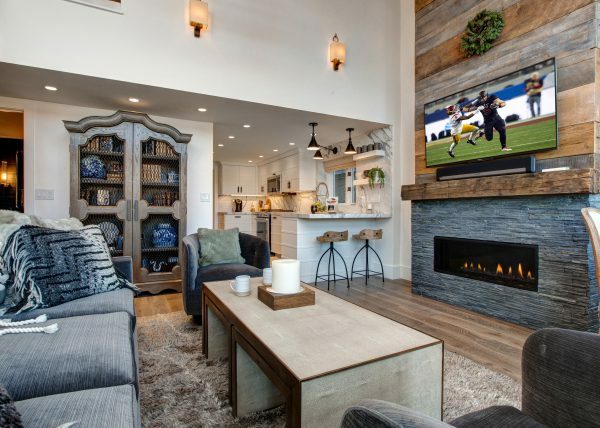 Gather in the leather sofas and lounge chairs around the fireplace and TV, or in the farmhouse-style chairs around the long wooden dining table. 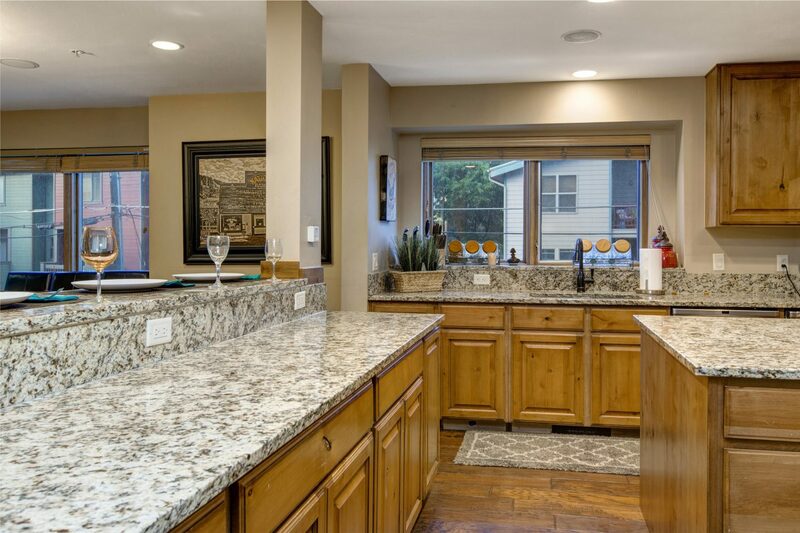 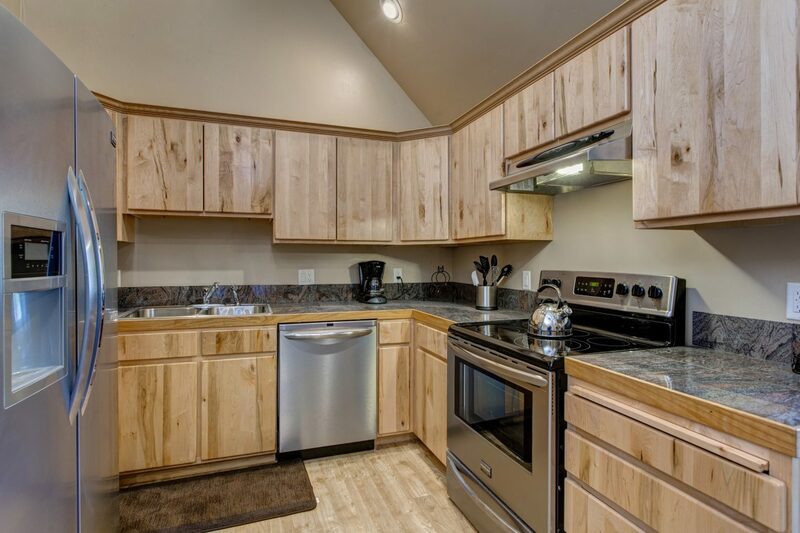 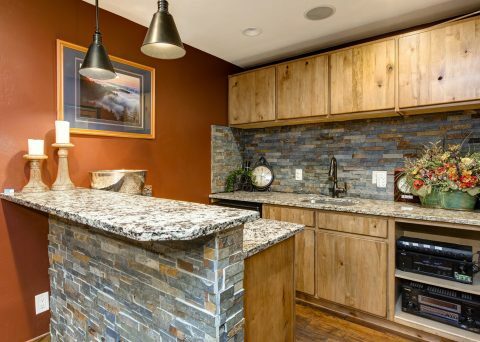 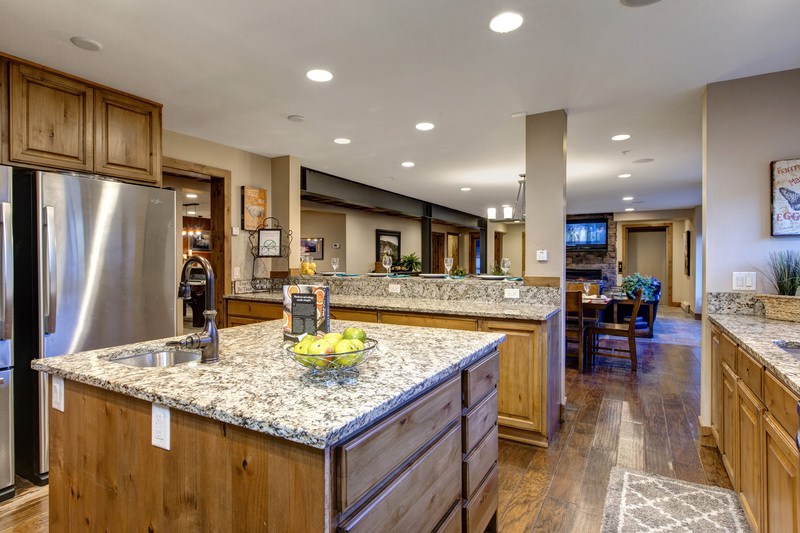 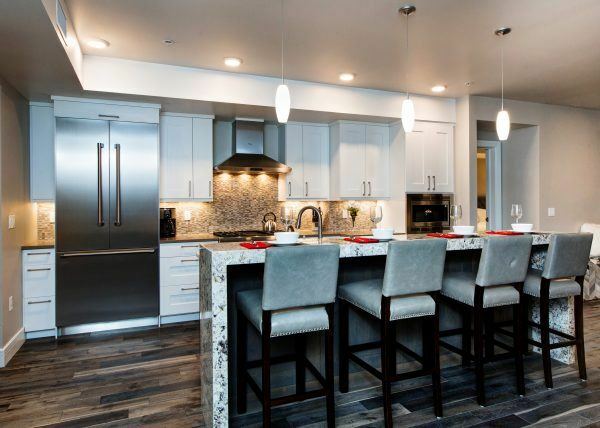 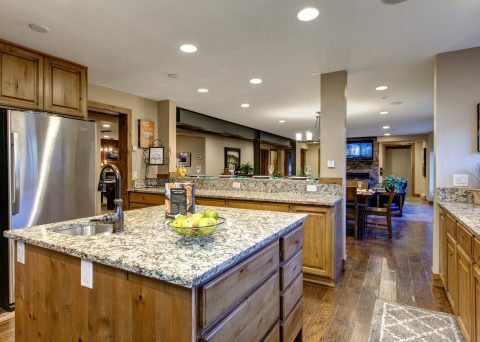 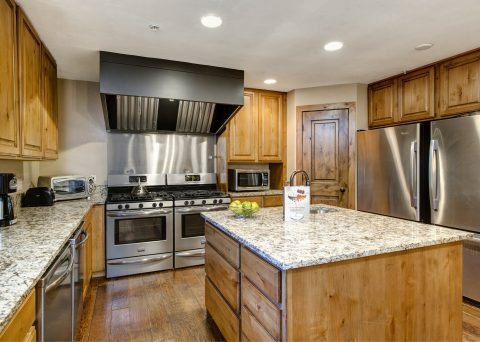 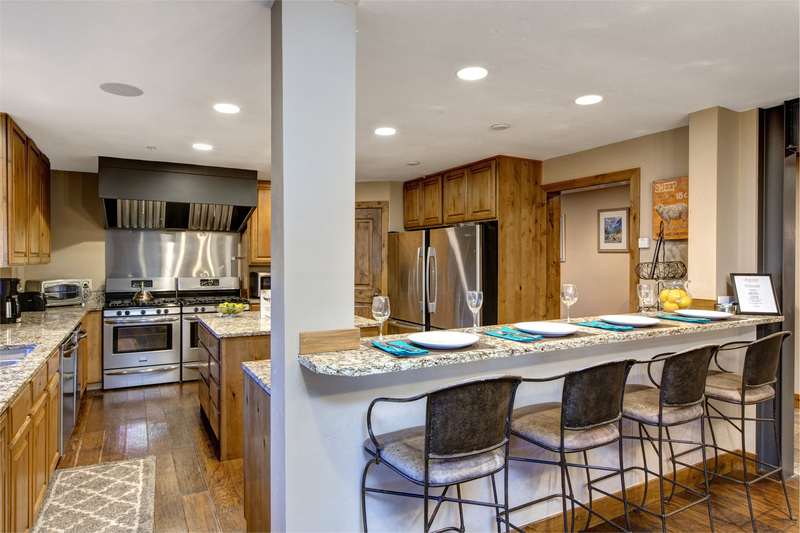 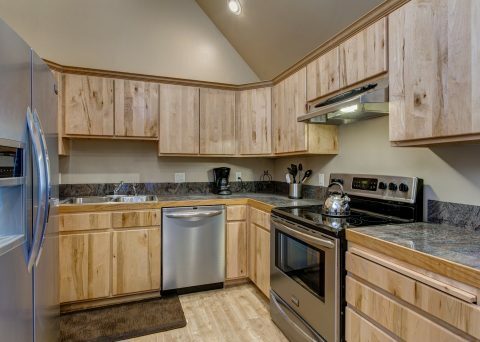 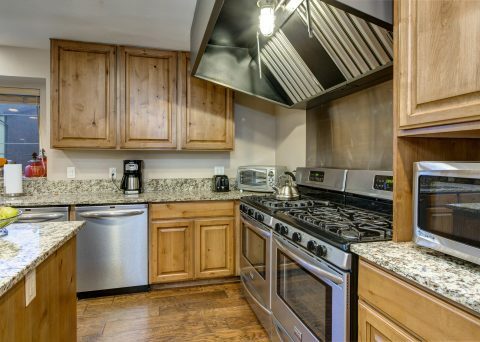 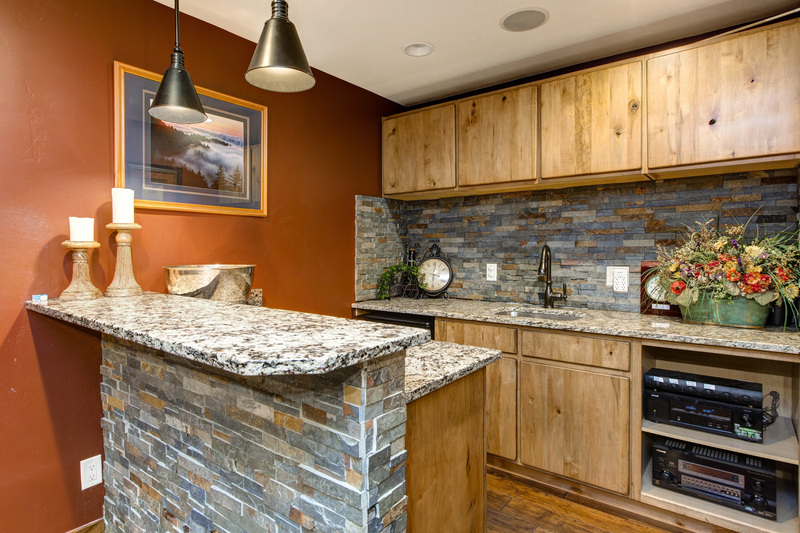 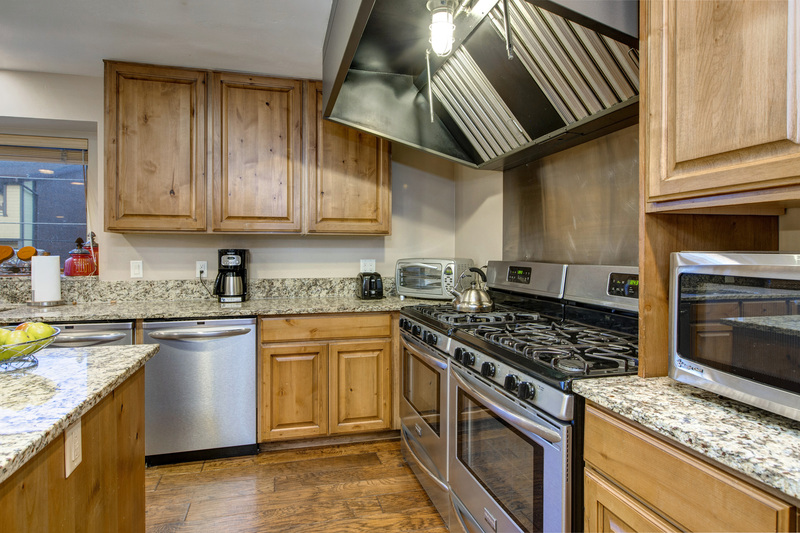 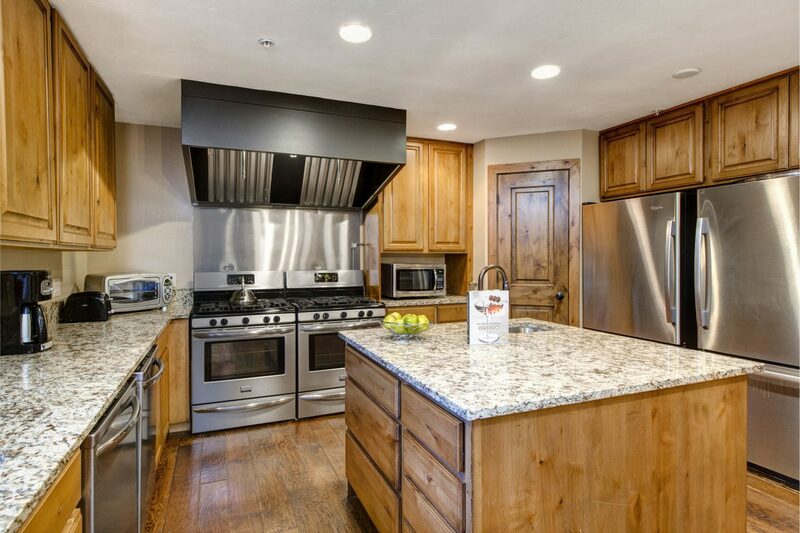 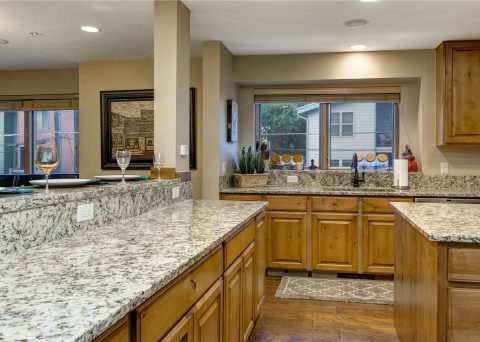 With two dishwashers, stoves and refrigerators as well as a breakfast bar, the fully equipped kitchen is ready to handle anything from a casual snack to a multi-course meal. 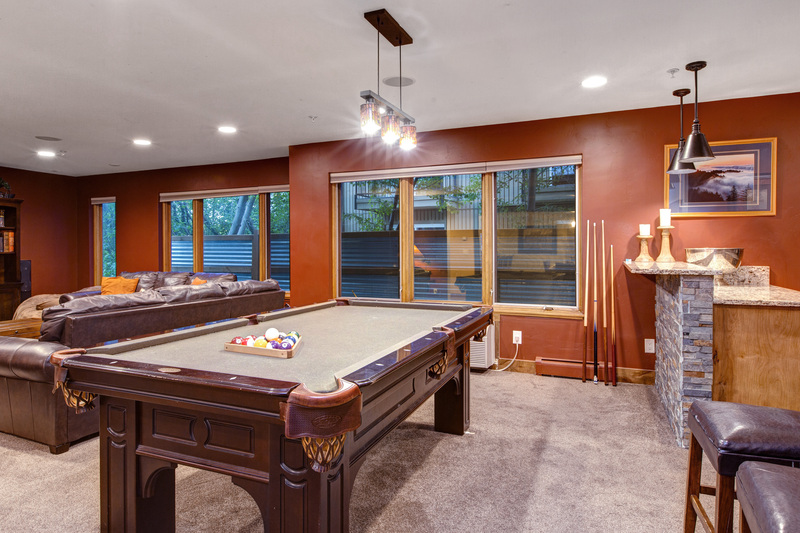 The adjacent bar, billiards and TV lounge can be used as a kids’ hangout while the grown-ups chat, or a place to socialize after dinner. 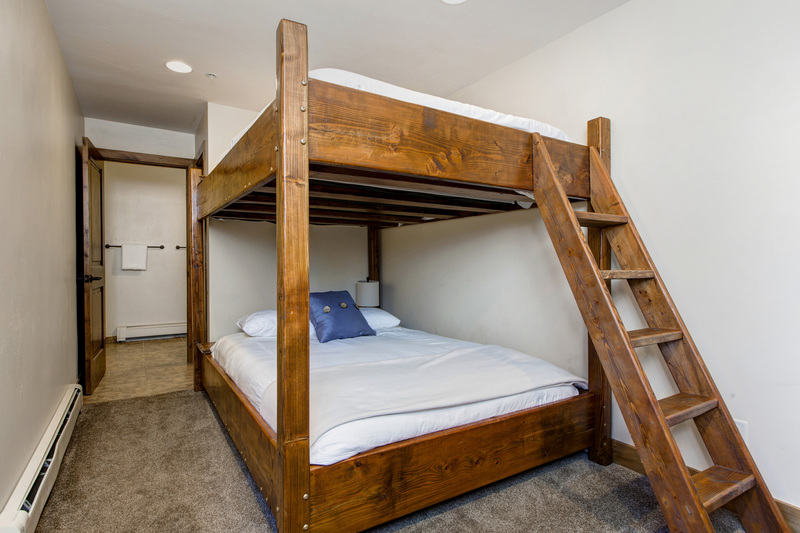 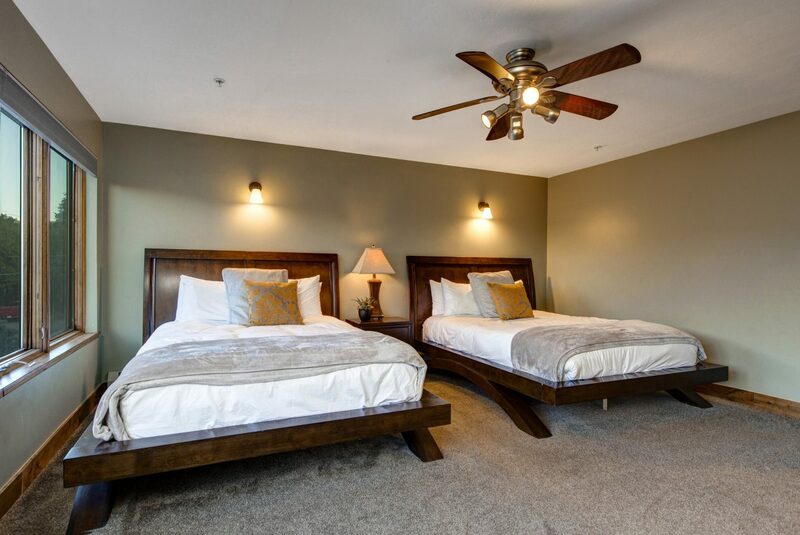 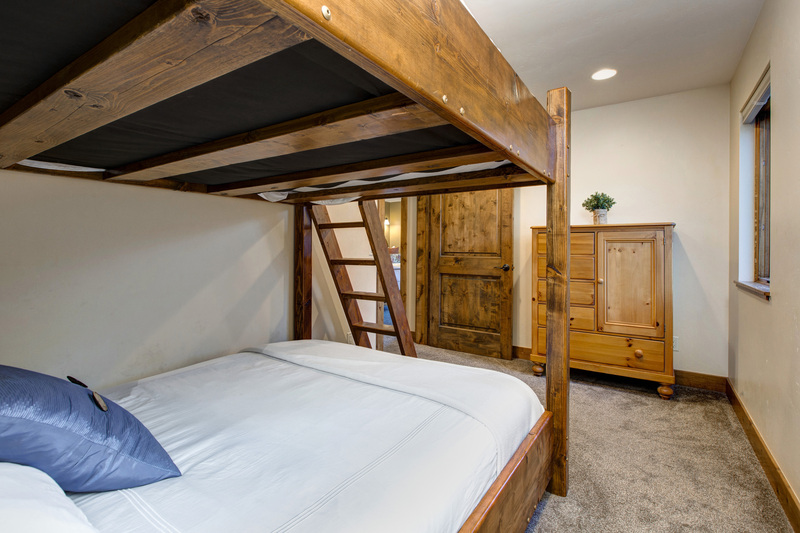 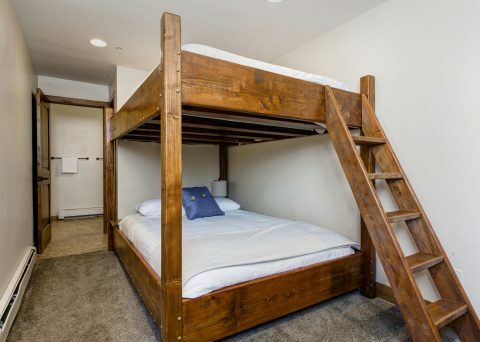 There are nine bedrooms in the villa’s main house; most have en-suite bathrooms, and a variety of accommodations from king beds to twin and bunk beds to meet your group’s needs. 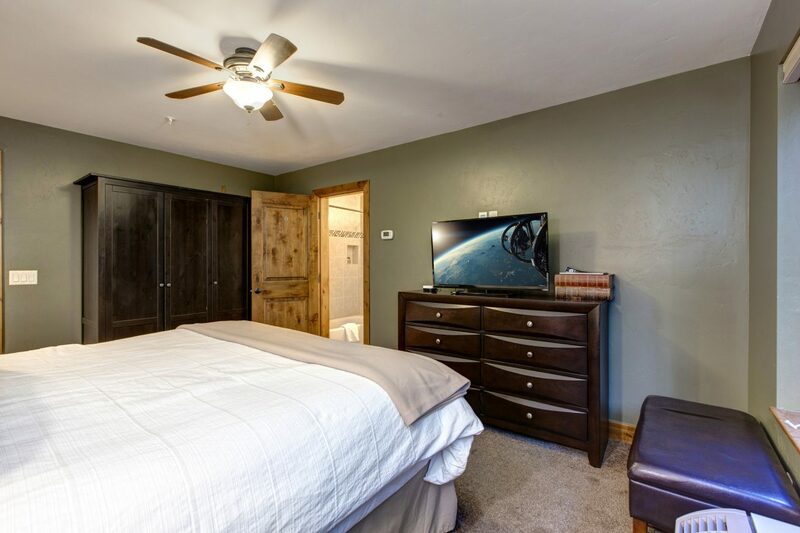 The tenth bedroom, perfect as an in-law or honeymoon suite, has a king bed, en-suite bathroom and its own private kitchen and living space. 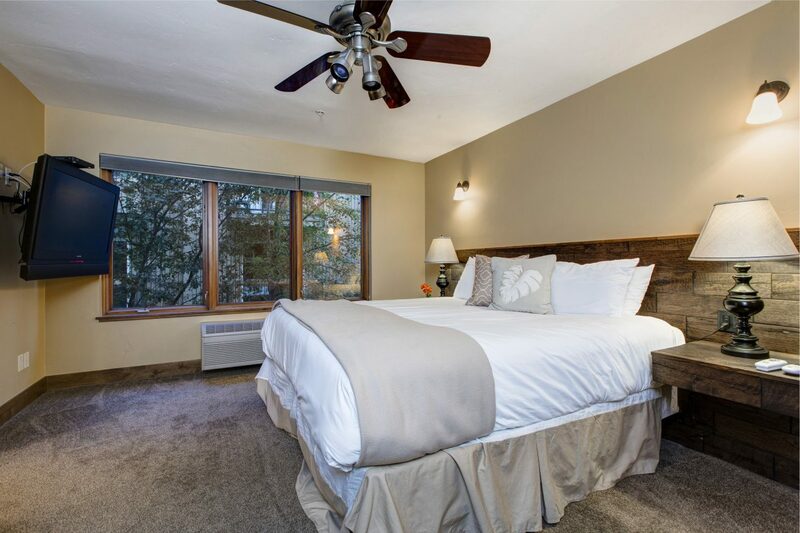 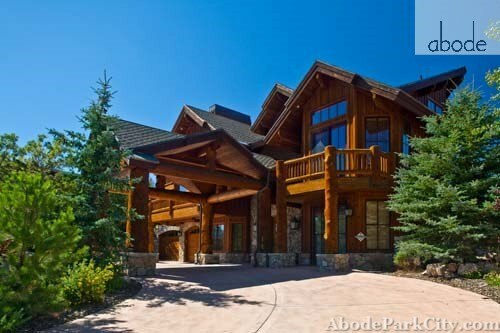 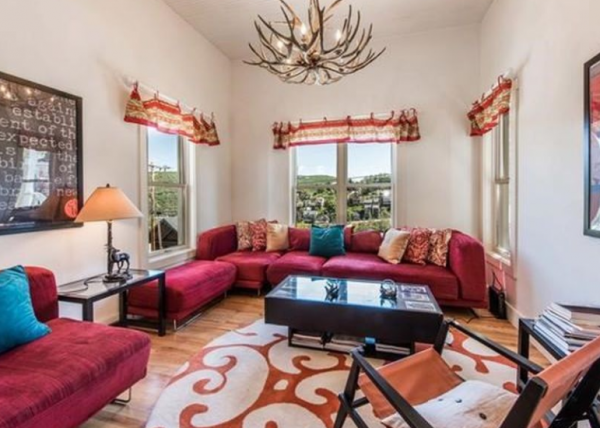 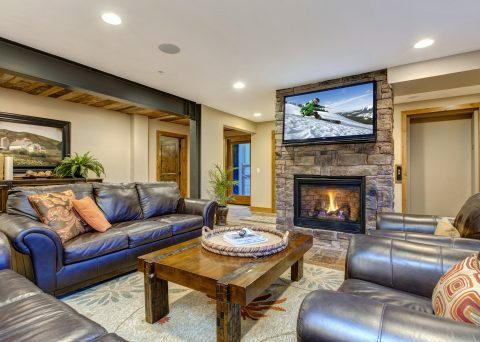 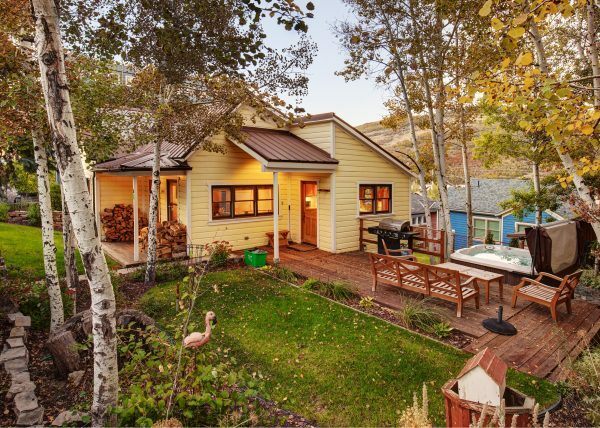 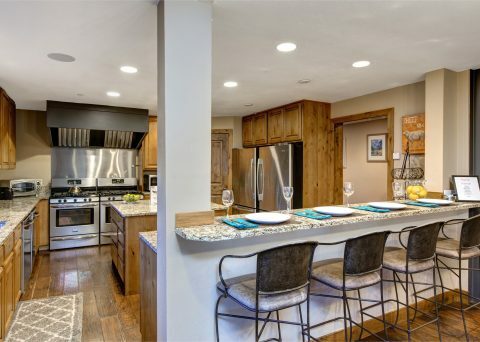 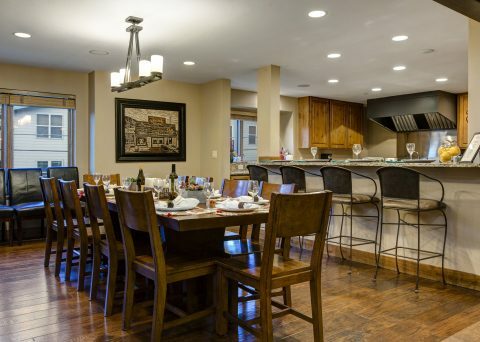 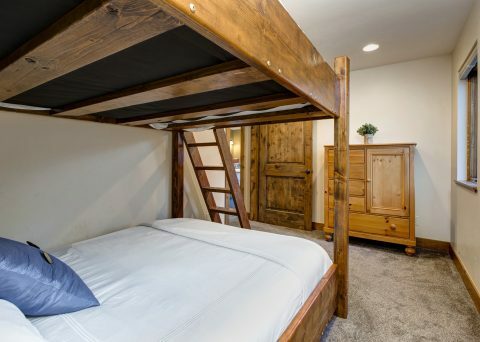 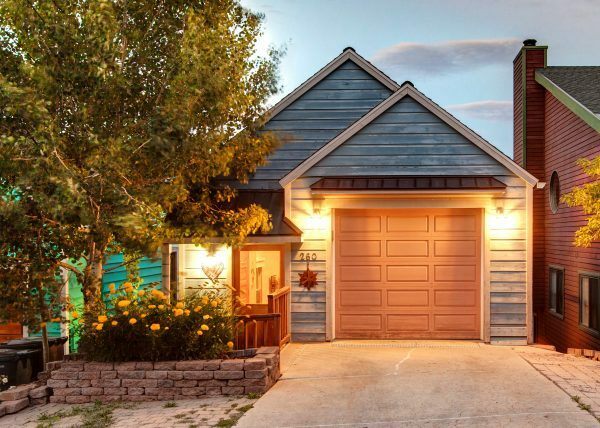 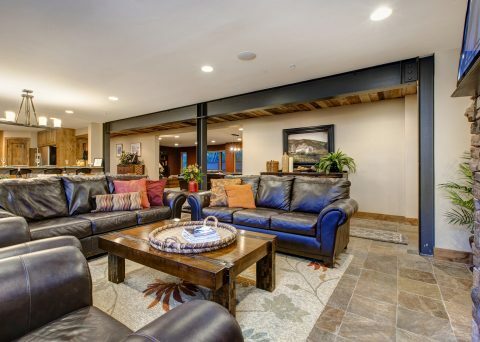 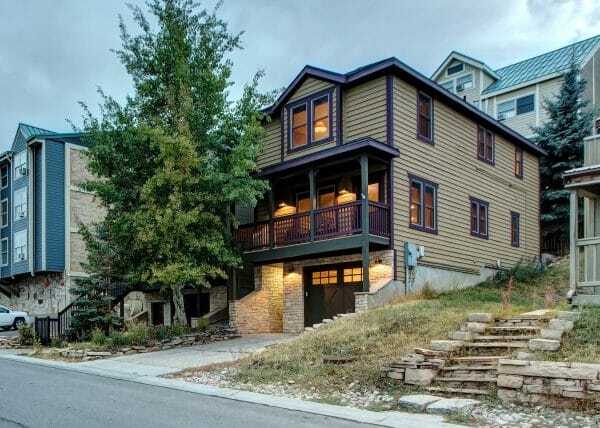 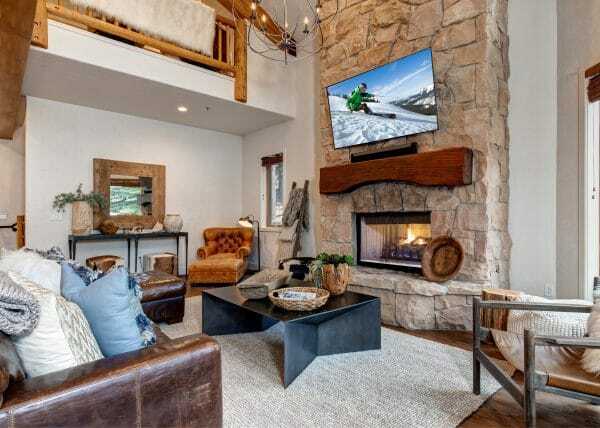 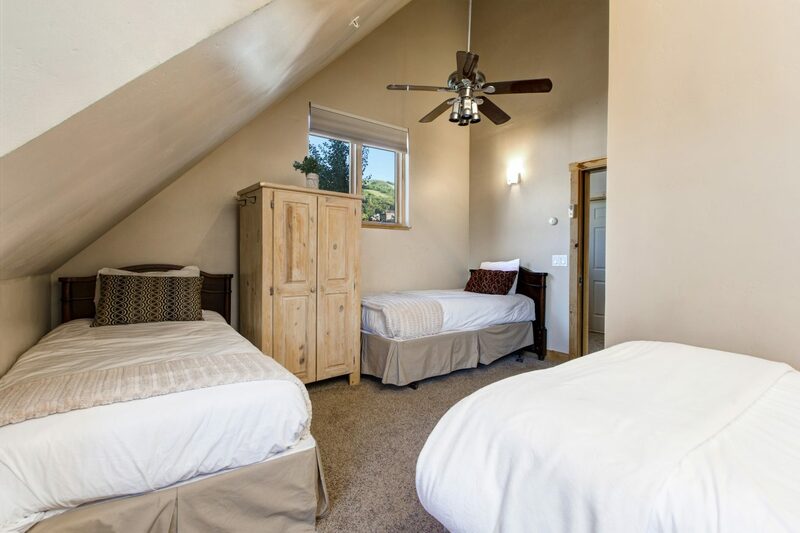 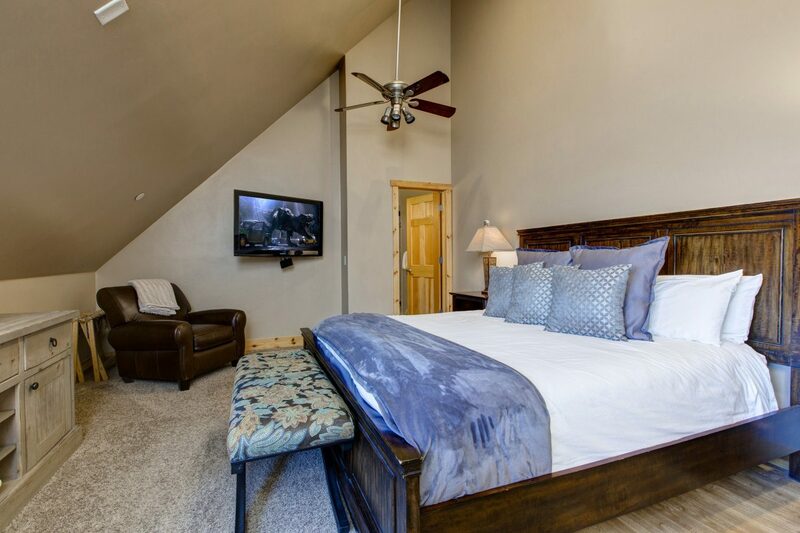 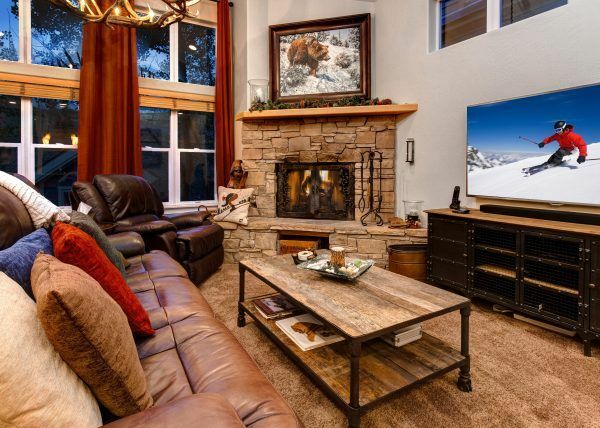 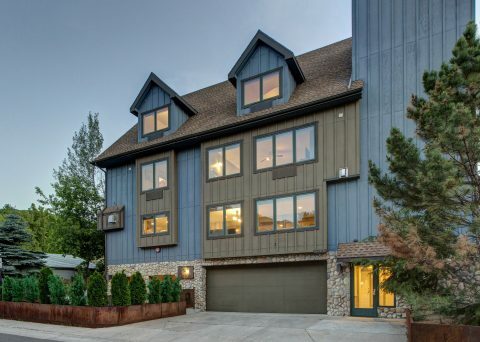 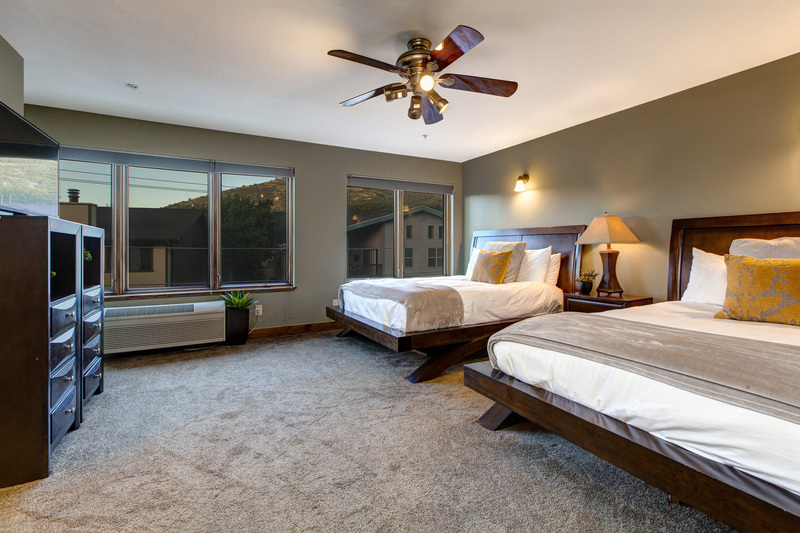 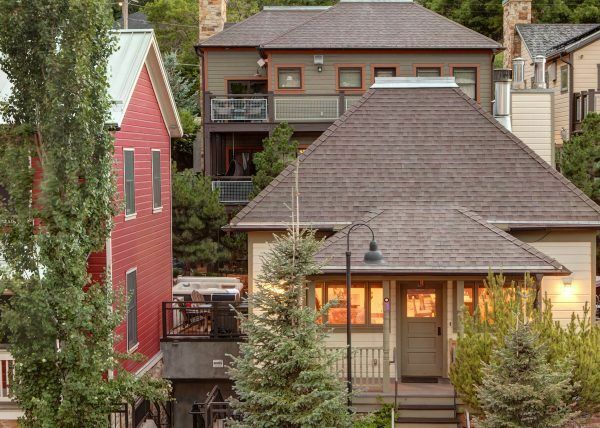 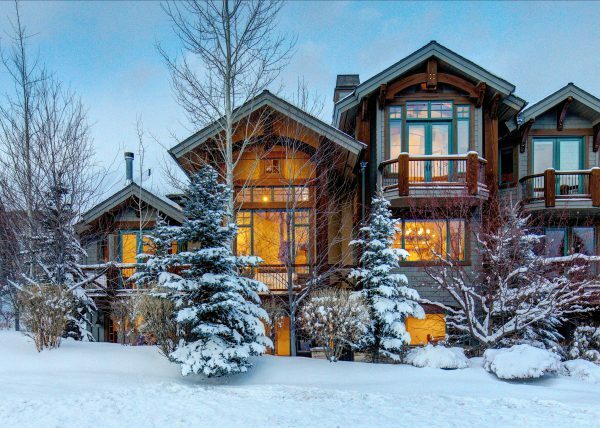 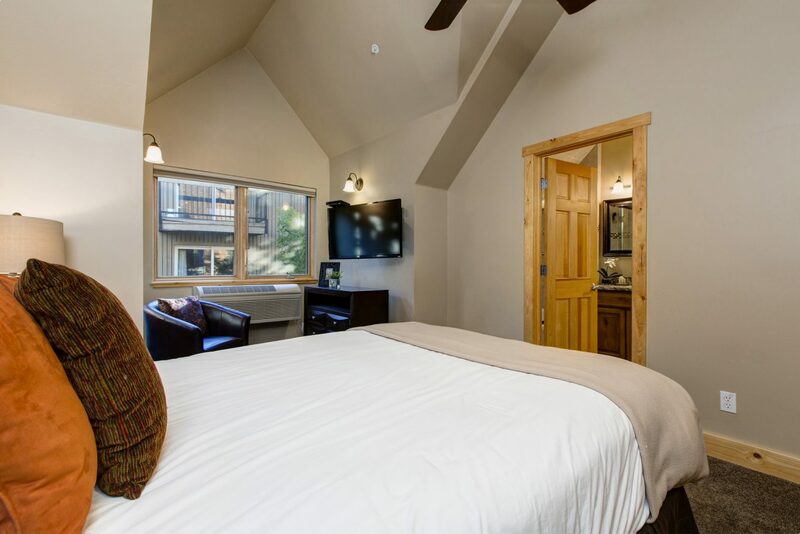 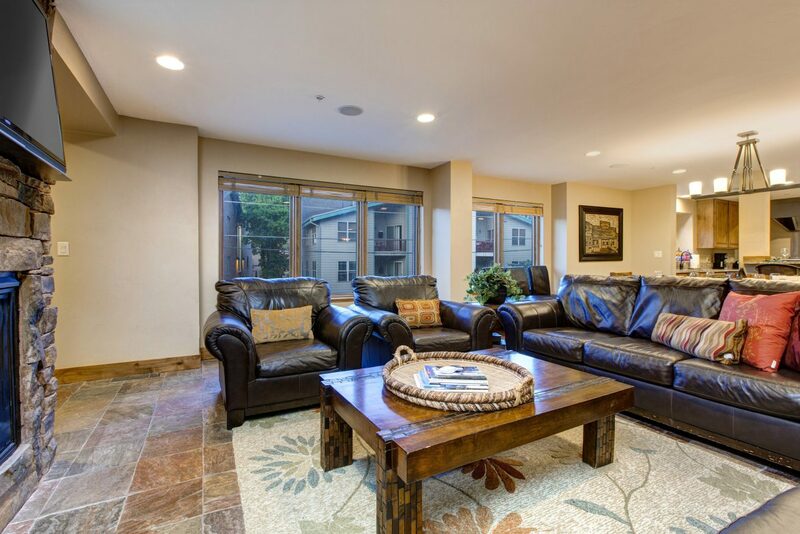 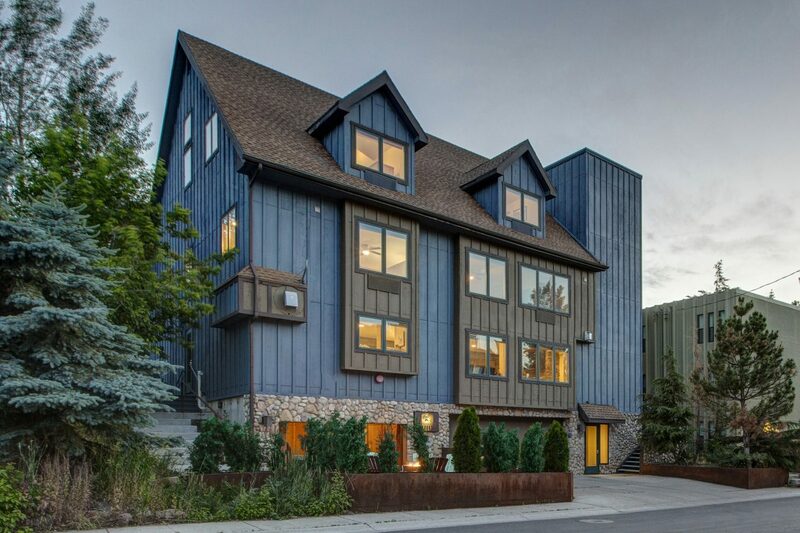 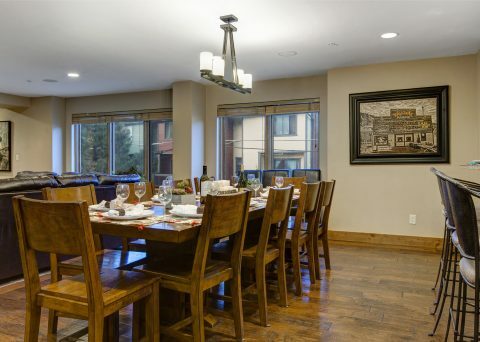 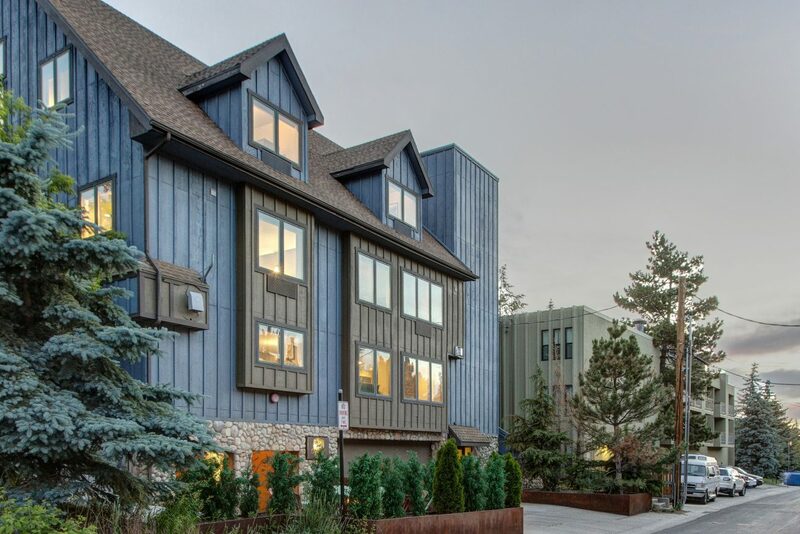 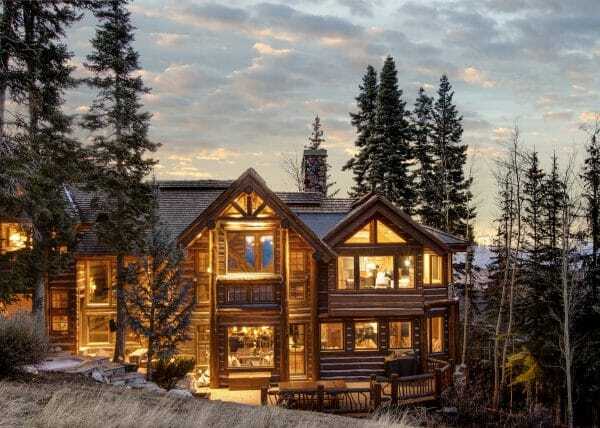 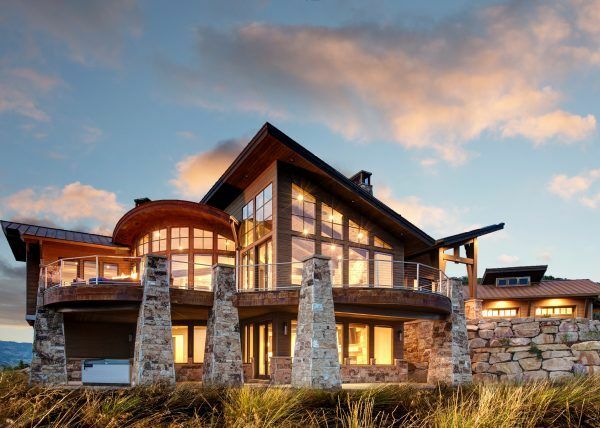 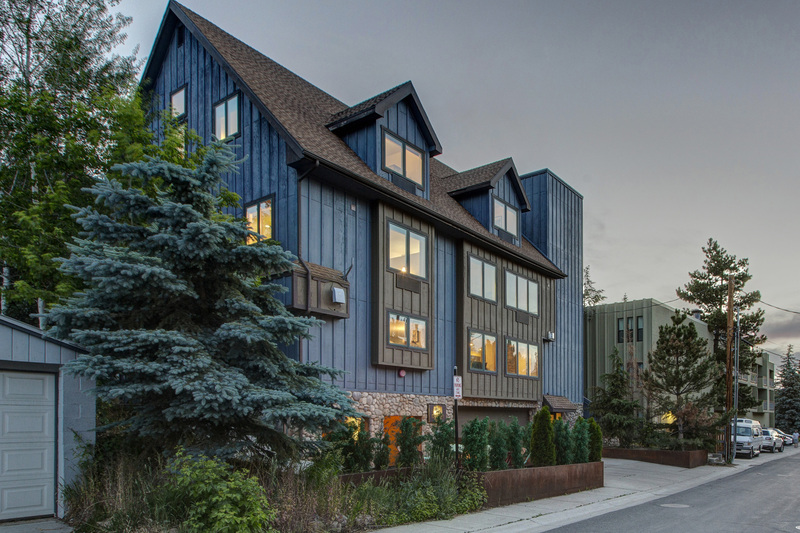 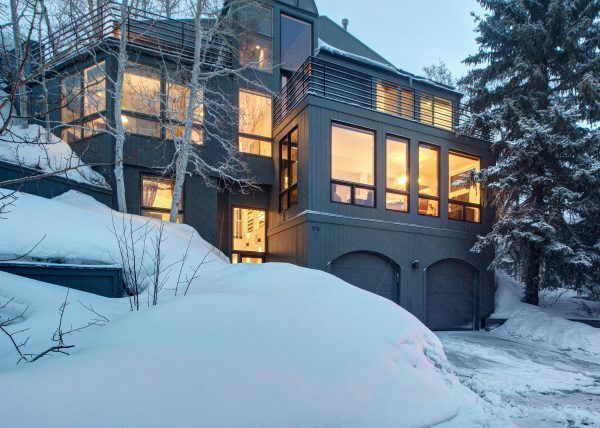 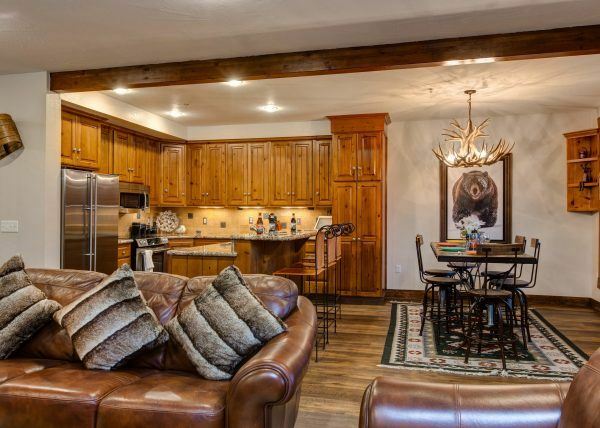 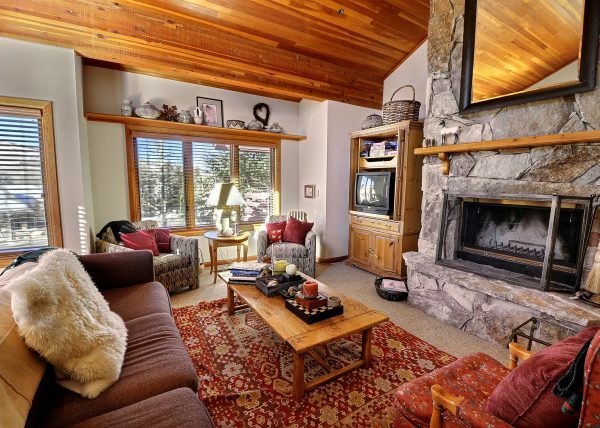 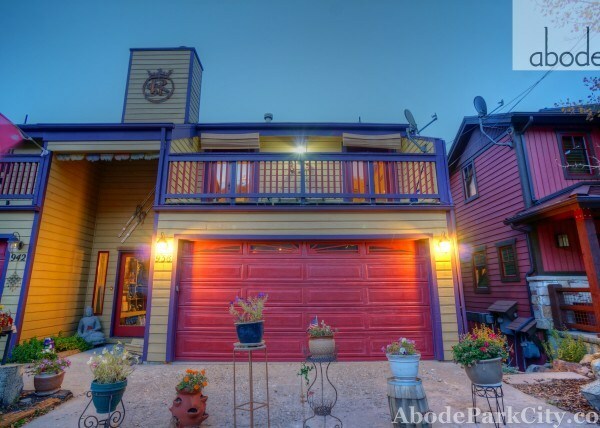 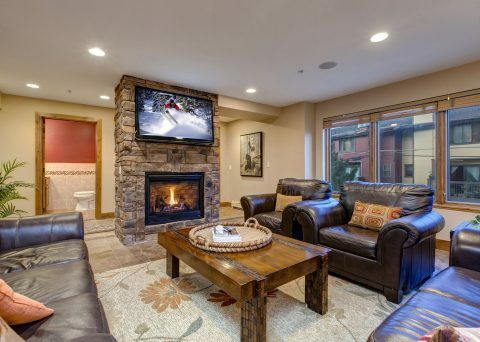 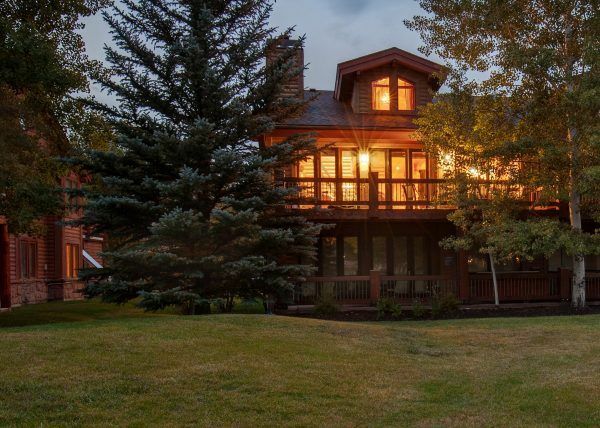 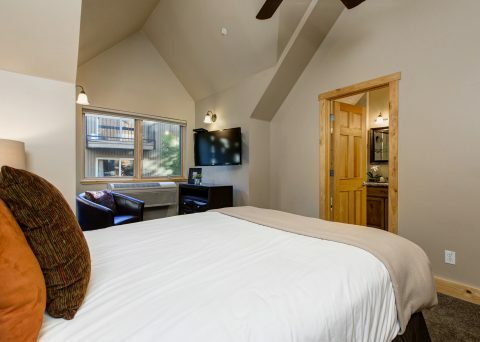 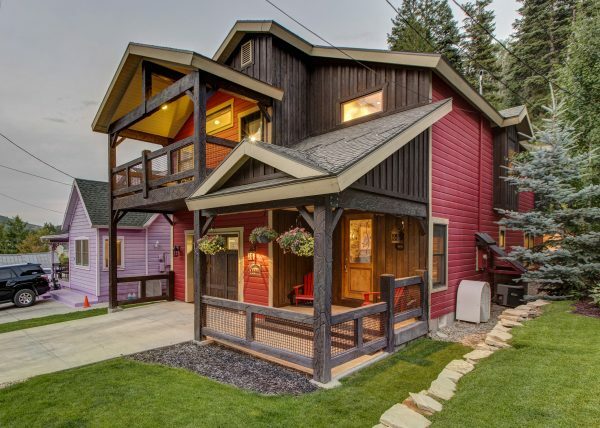 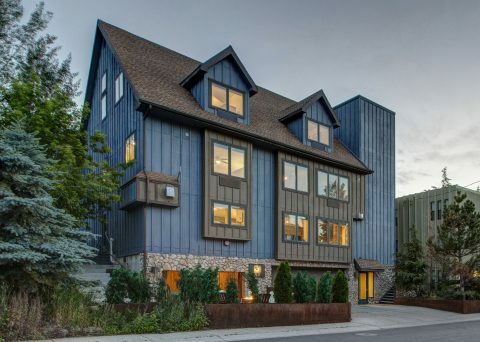 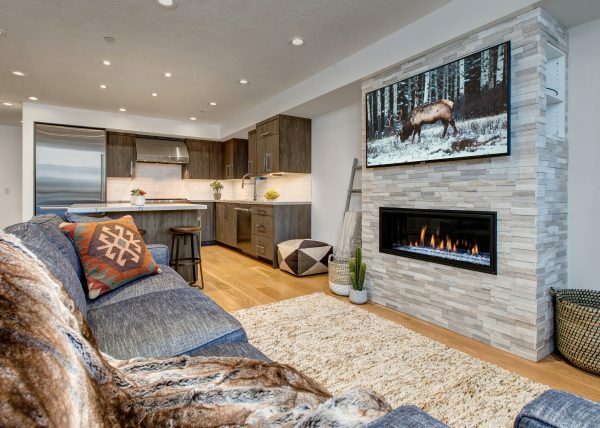 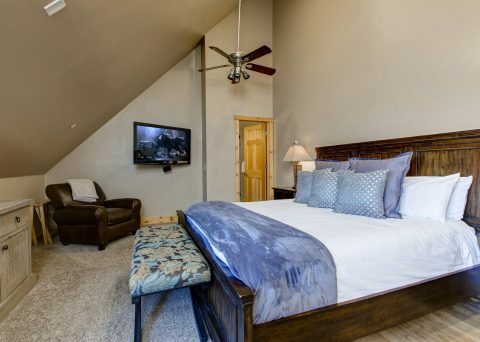 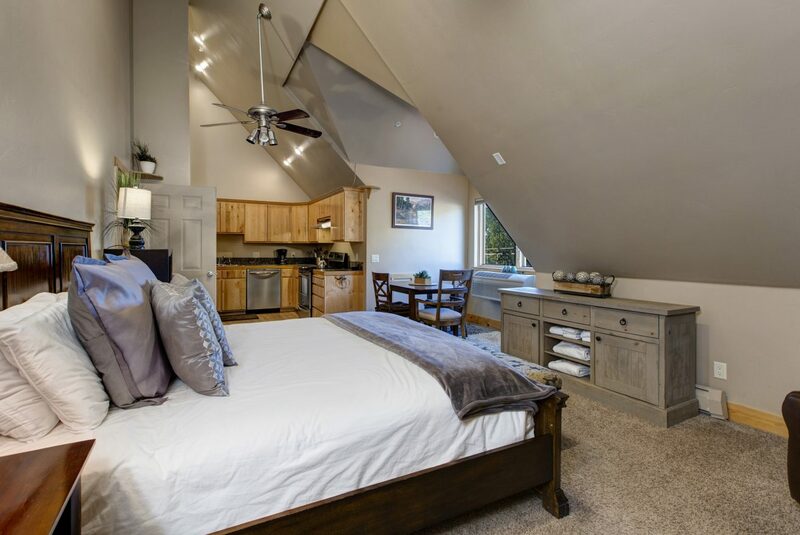 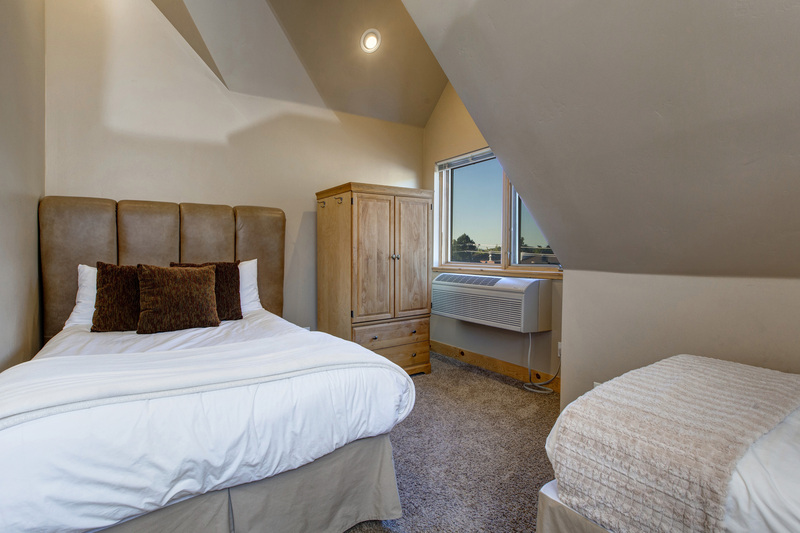 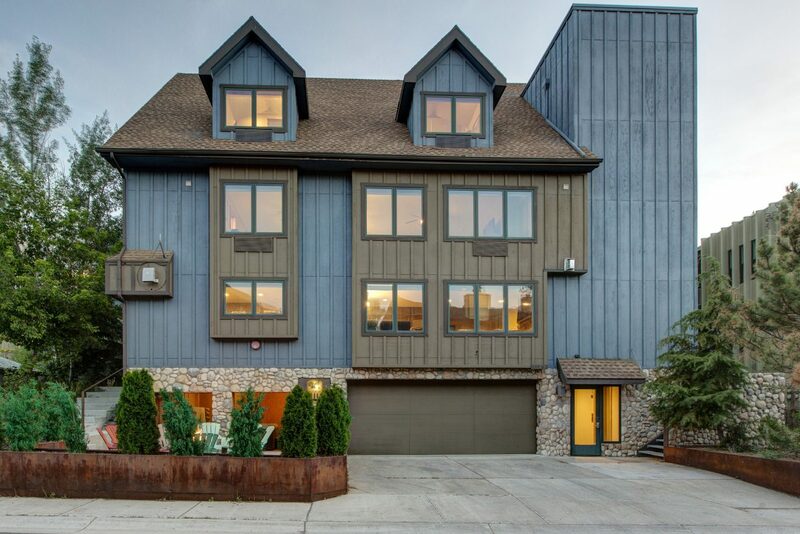 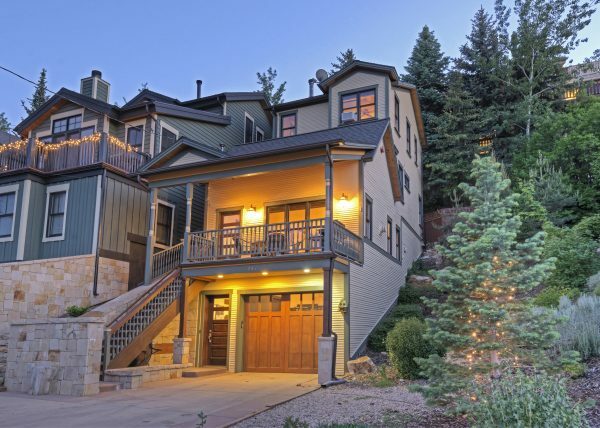 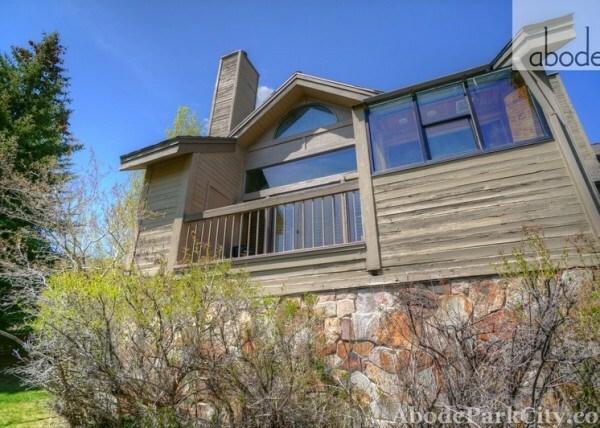 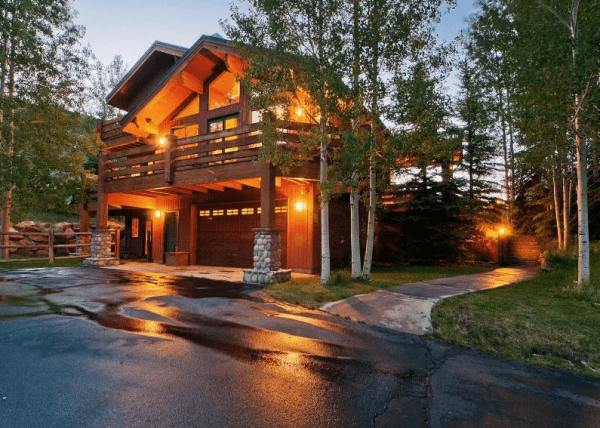 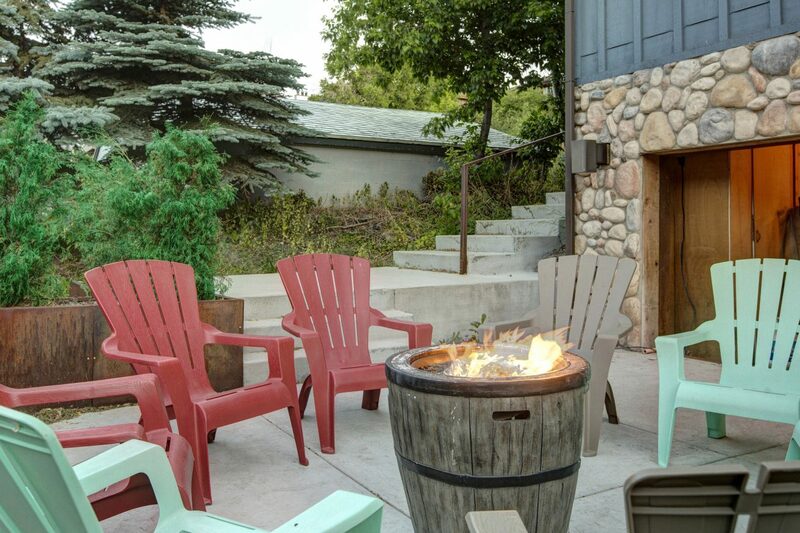 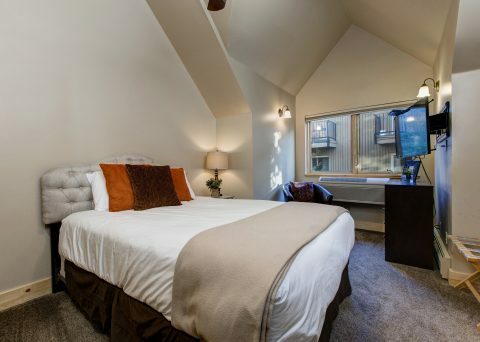 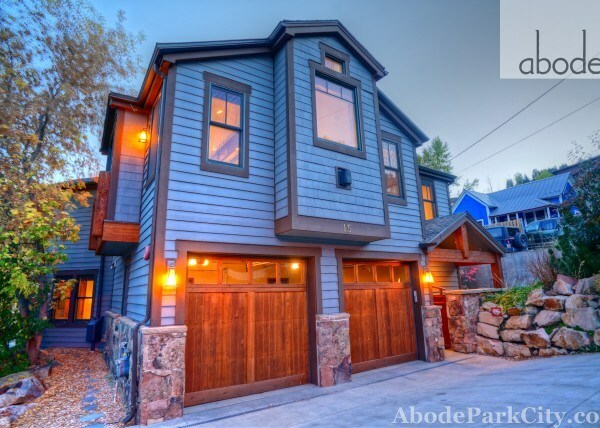 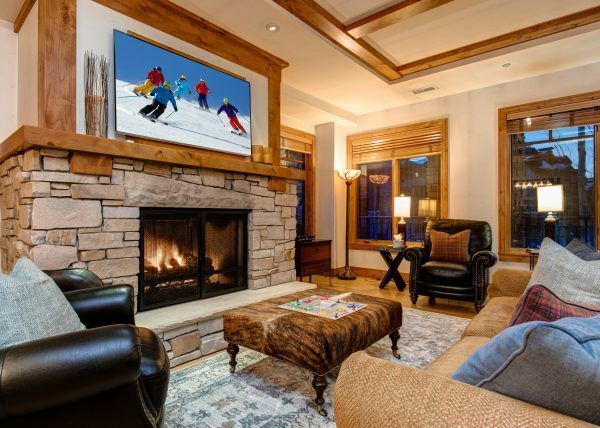 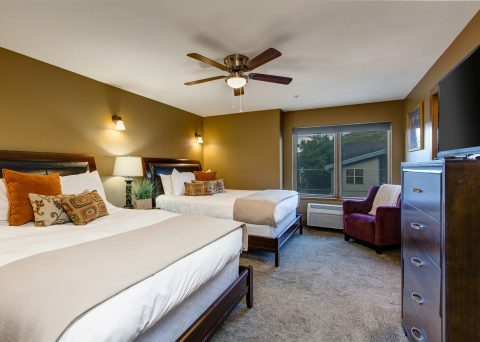 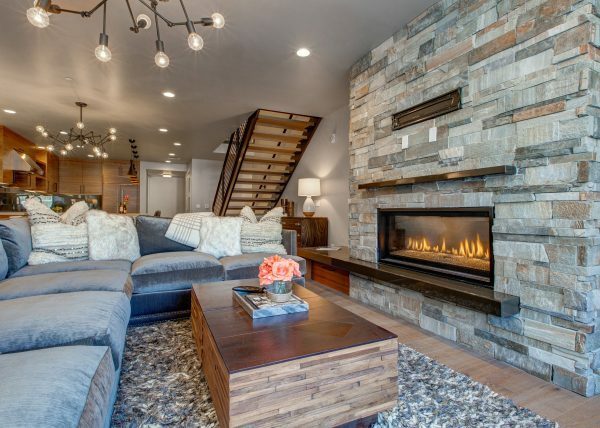 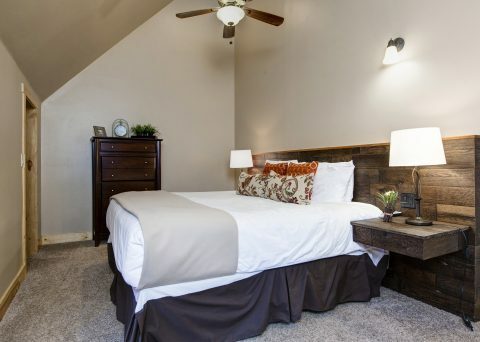 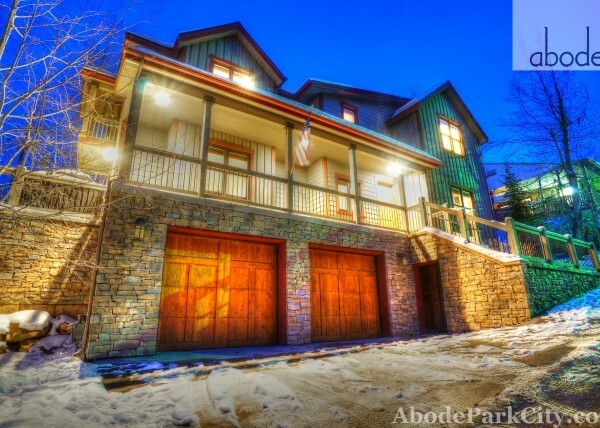 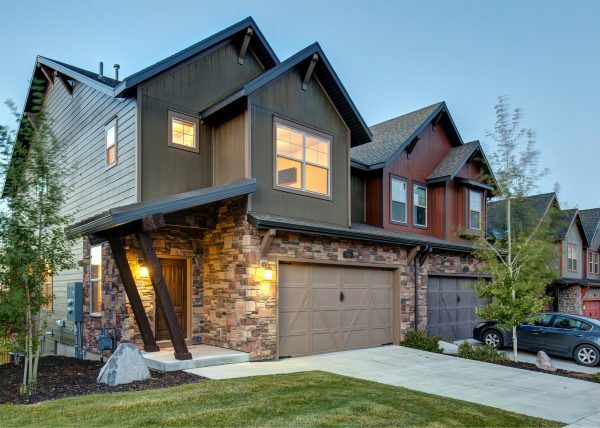 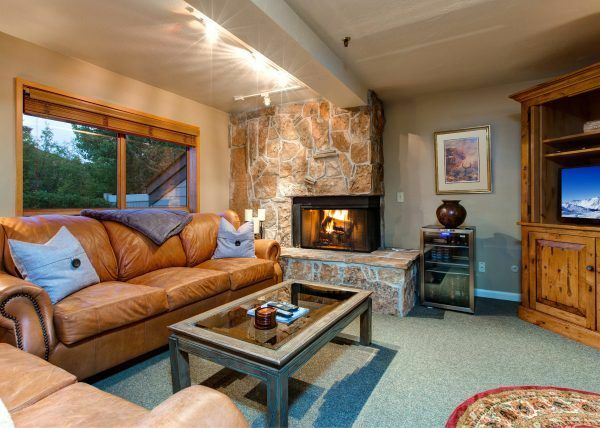 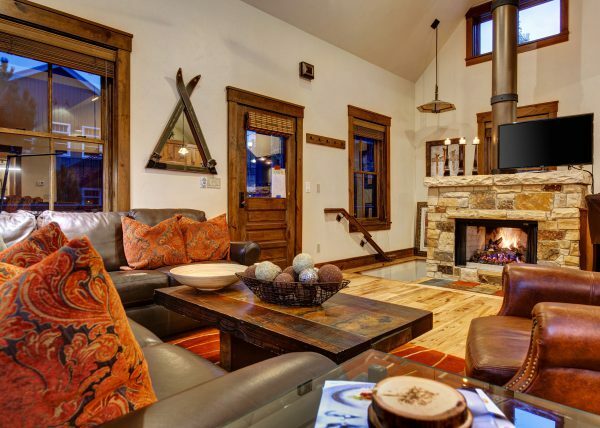 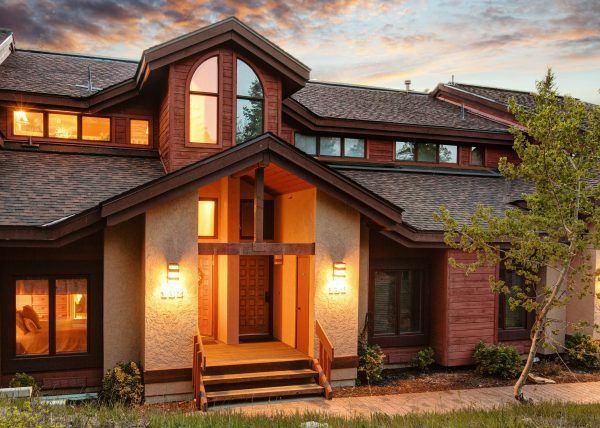 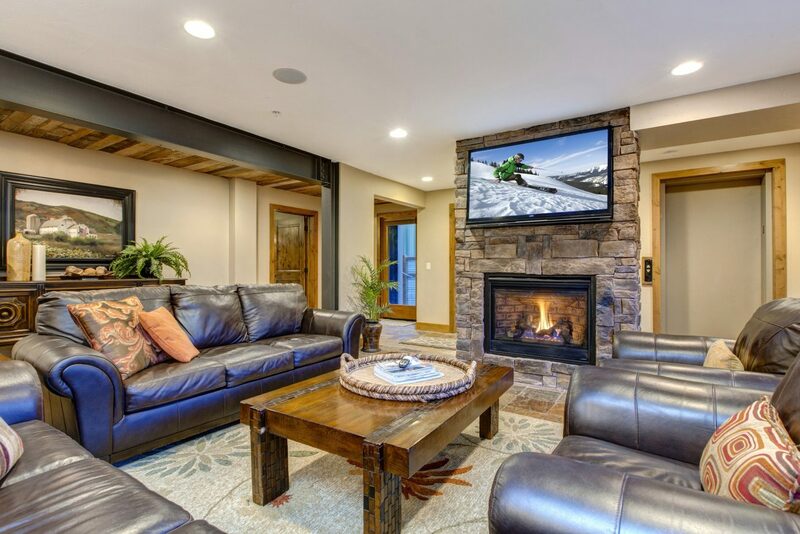 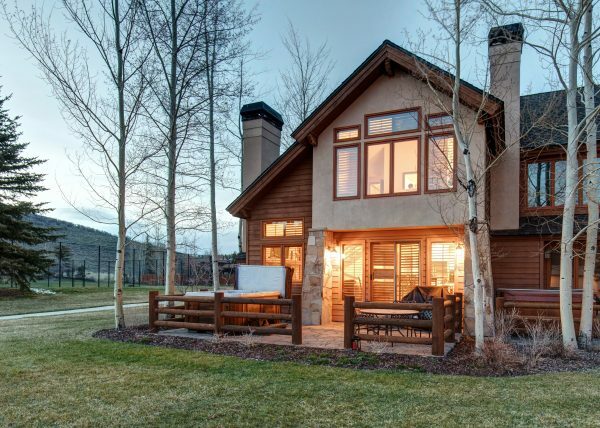 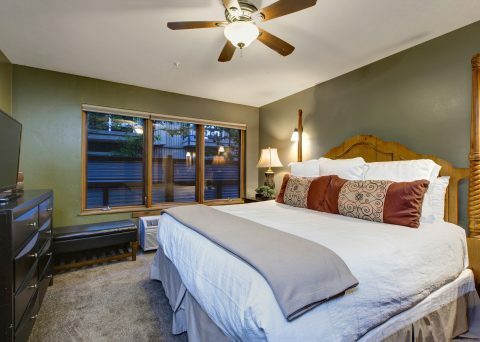 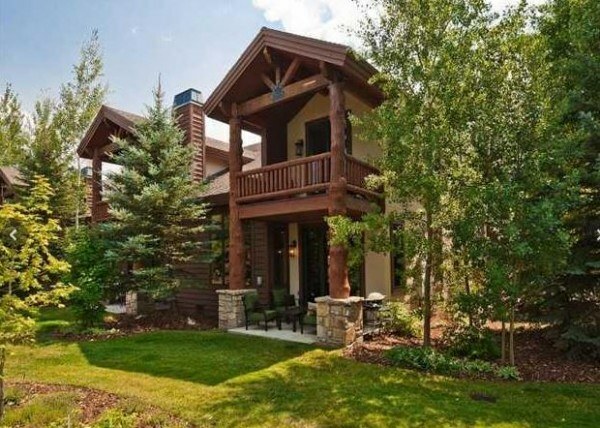 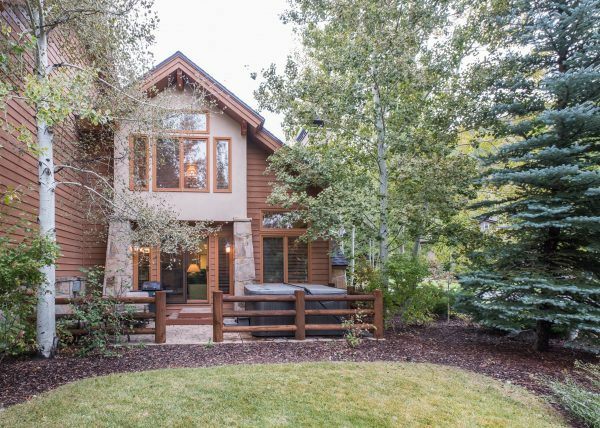 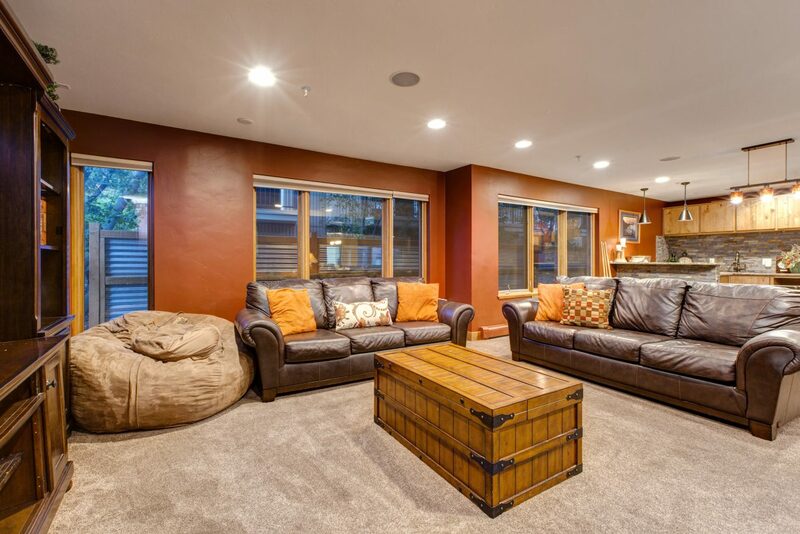 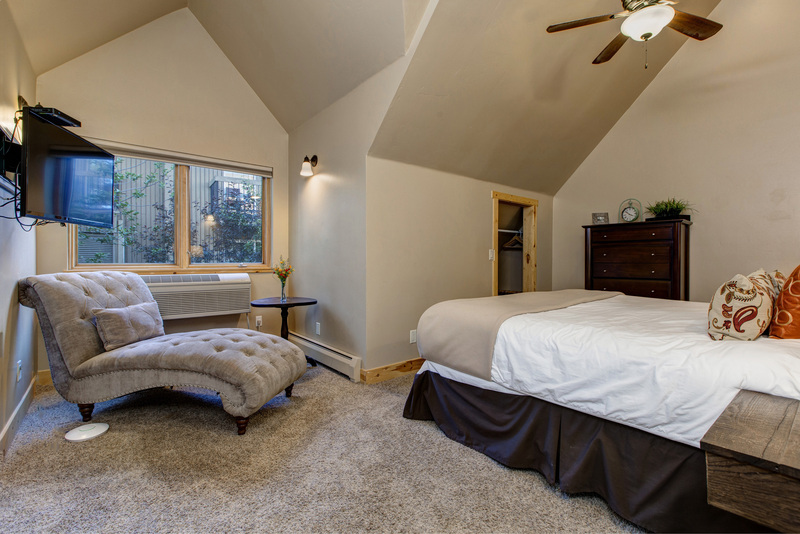 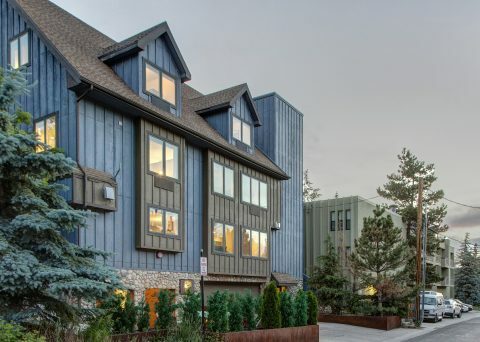 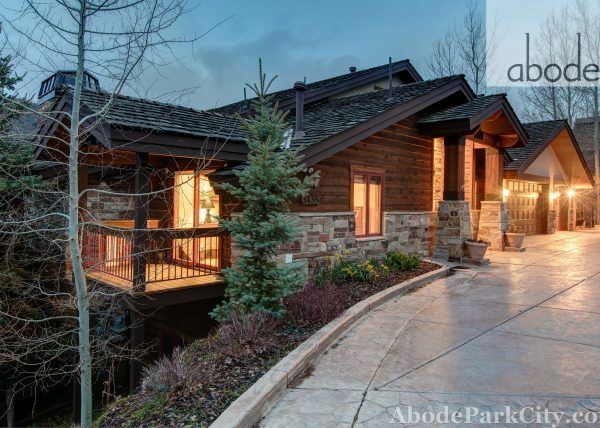 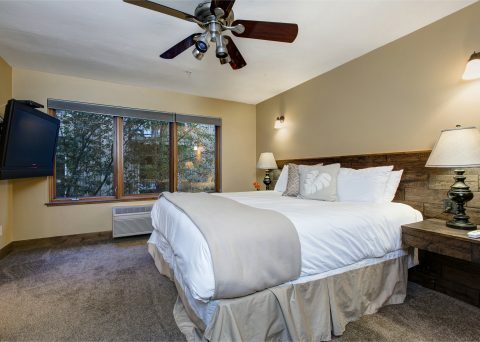 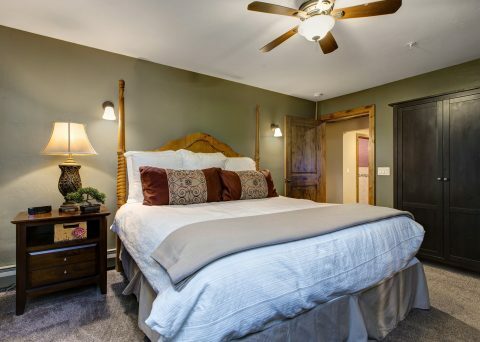 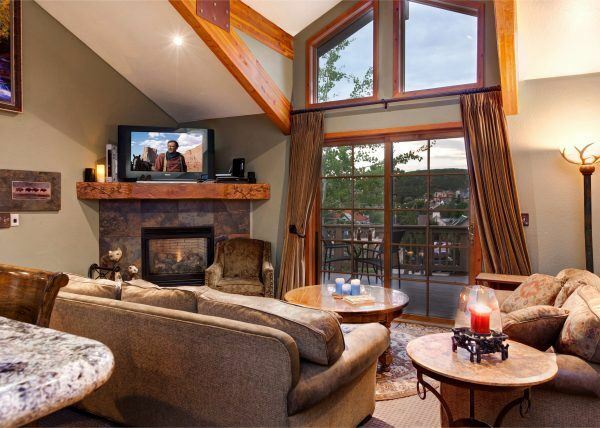 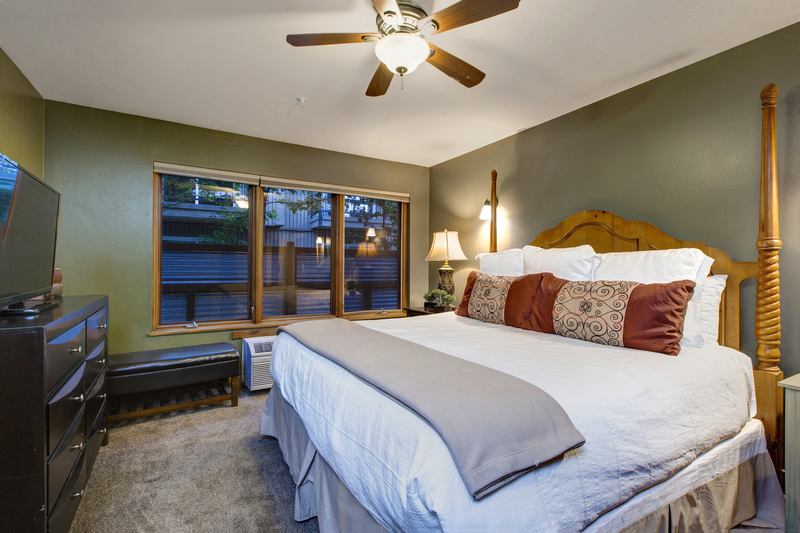 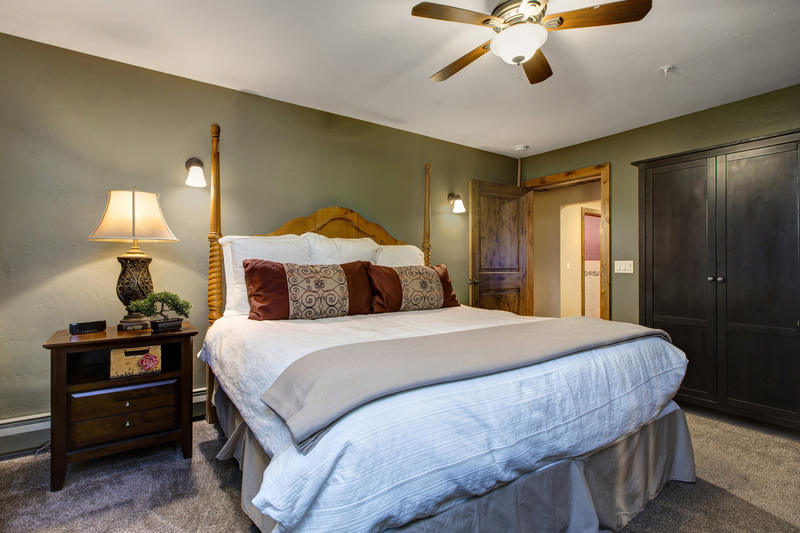 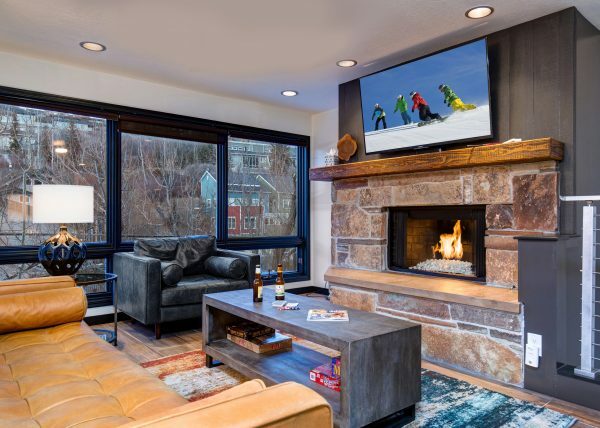 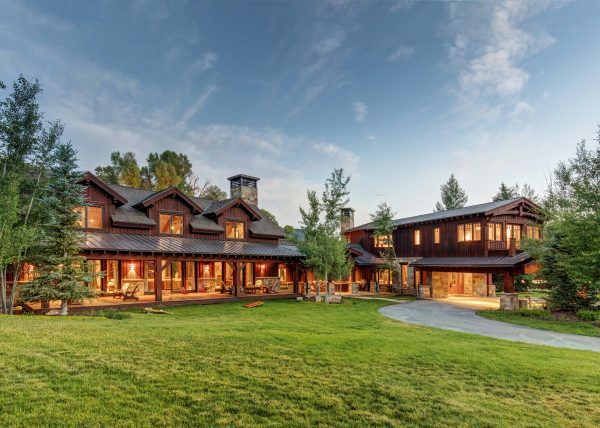 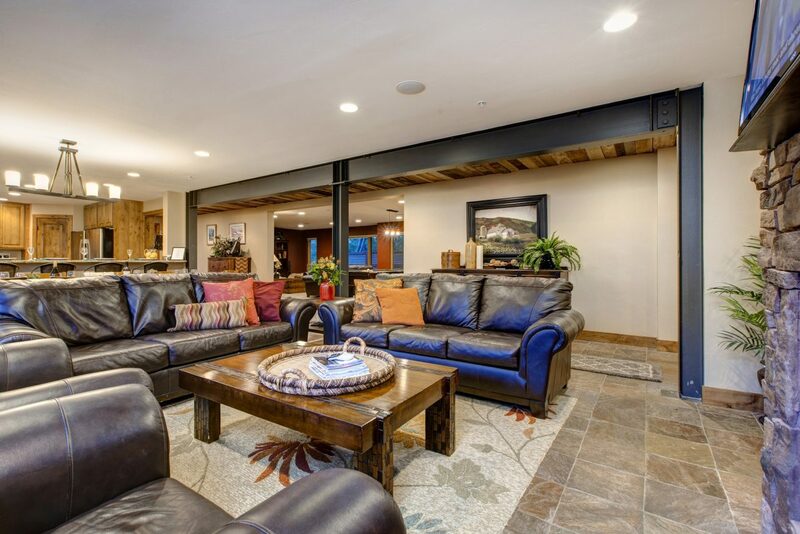 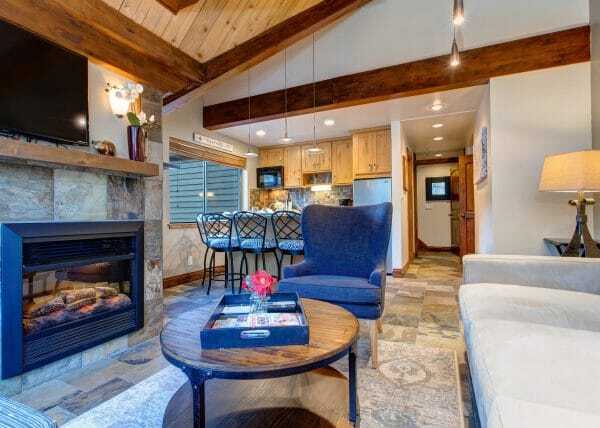 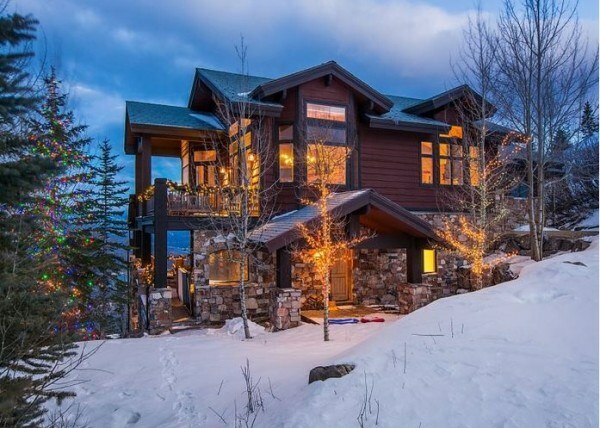 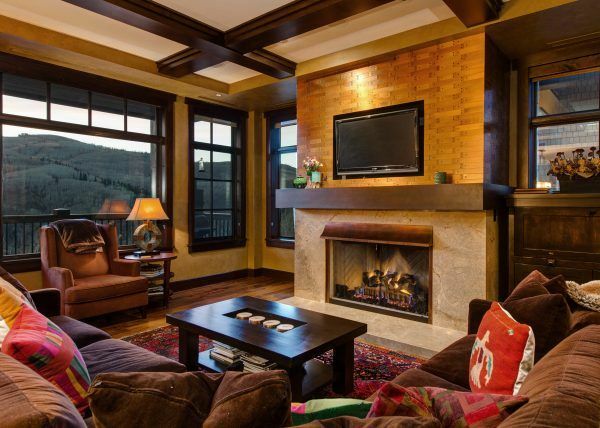 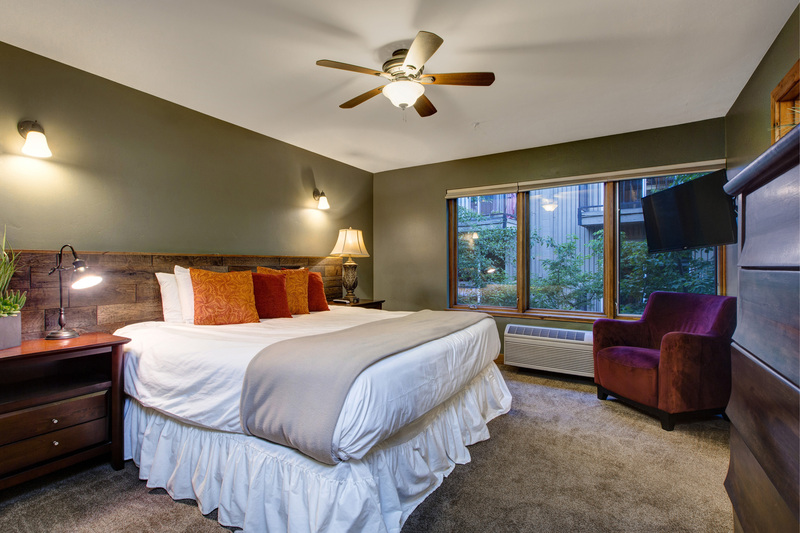 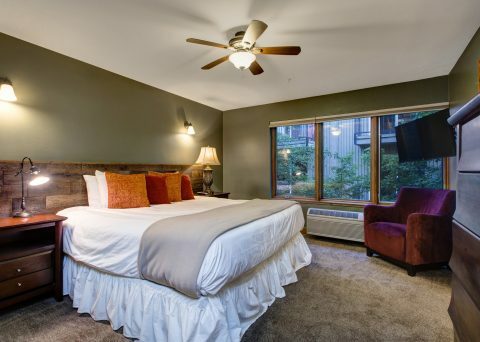 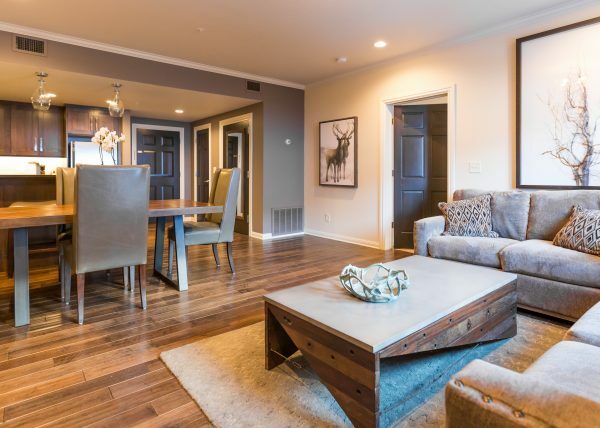 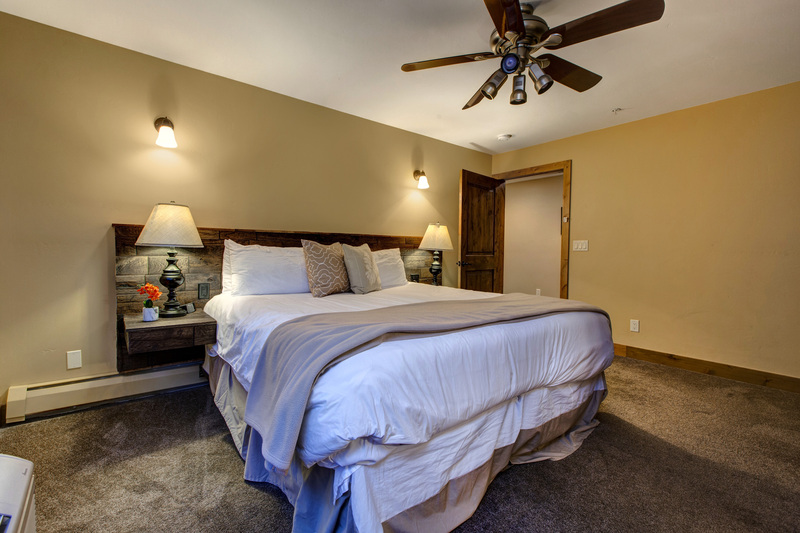 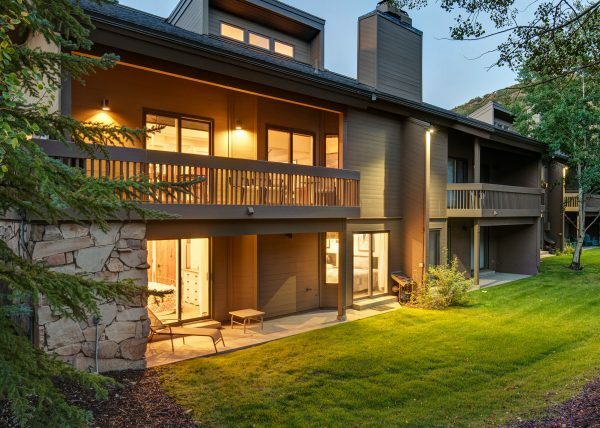 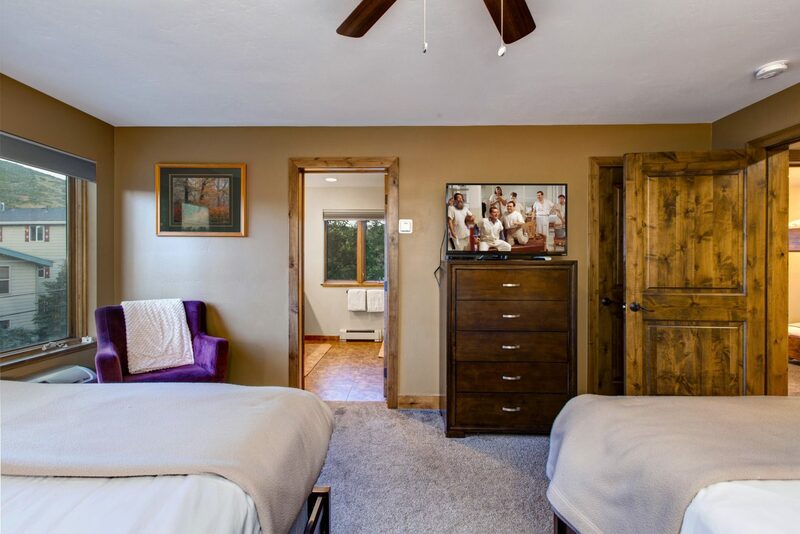 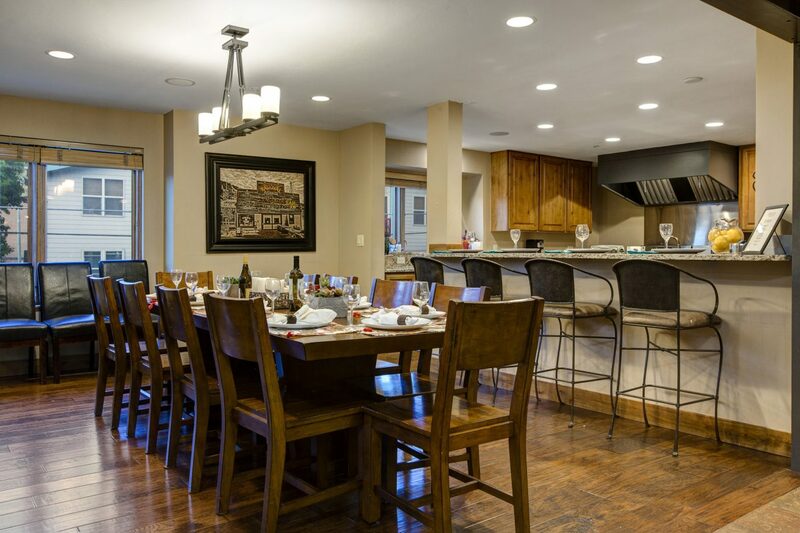 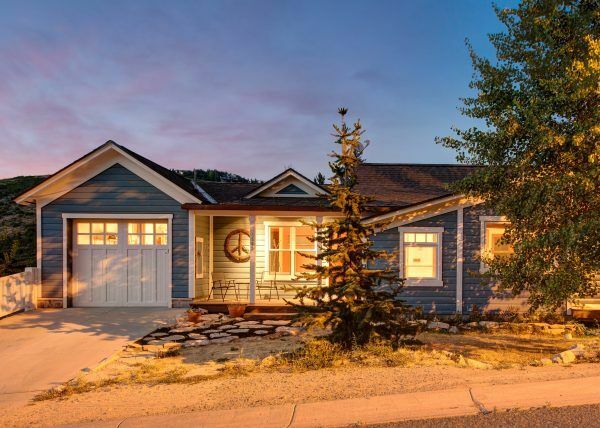 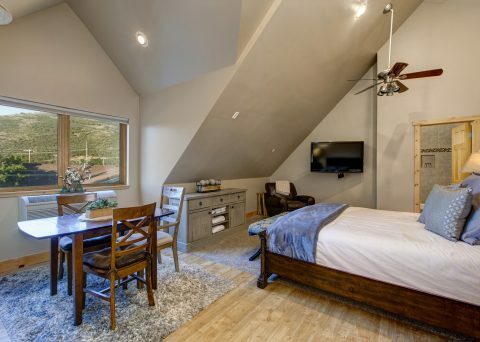 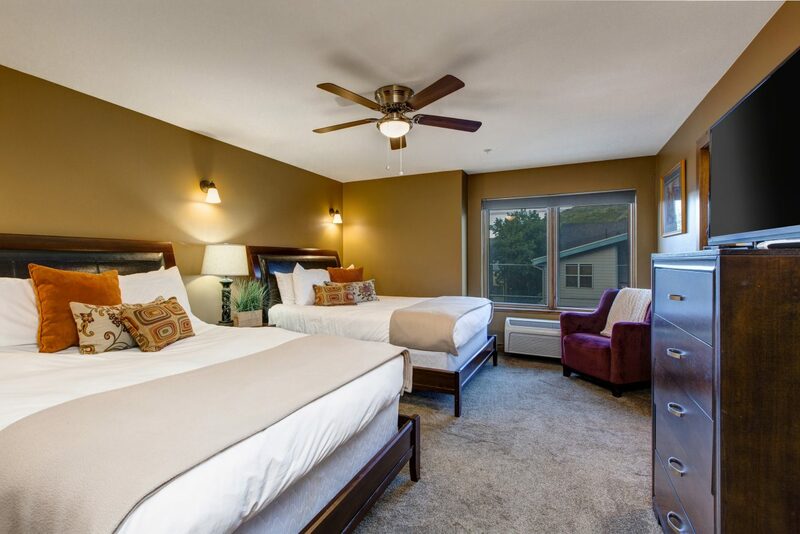 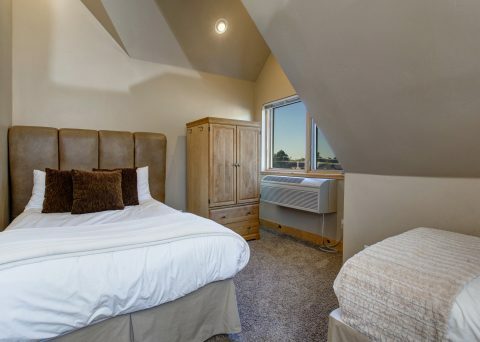 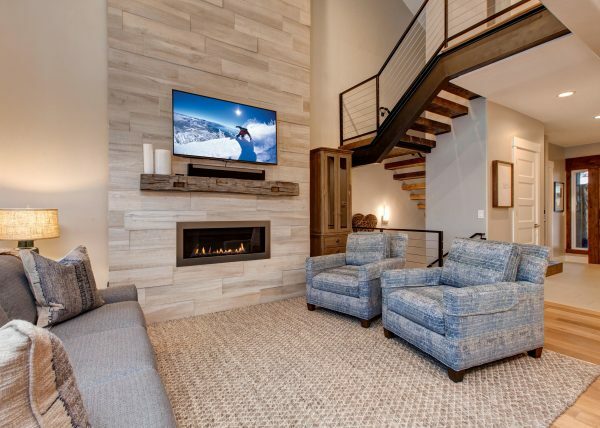 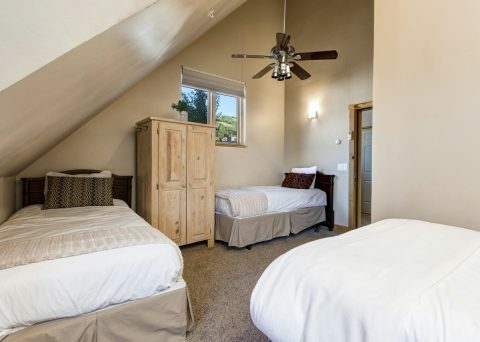 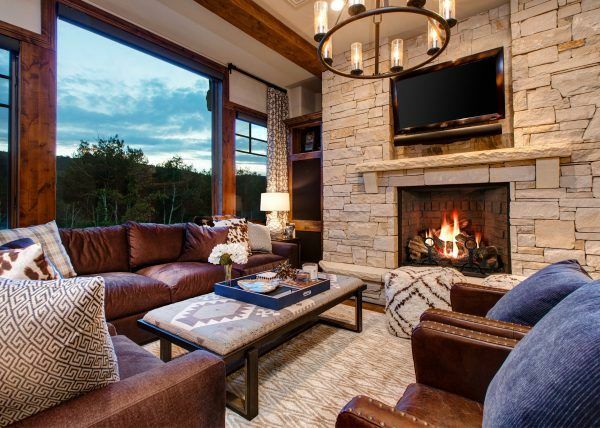 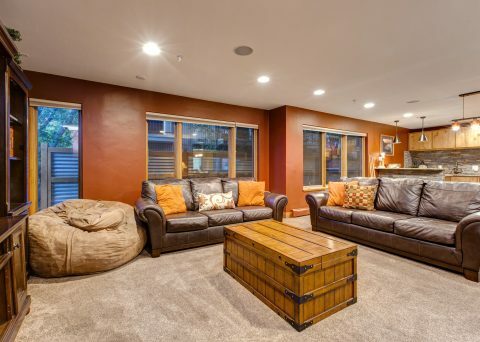 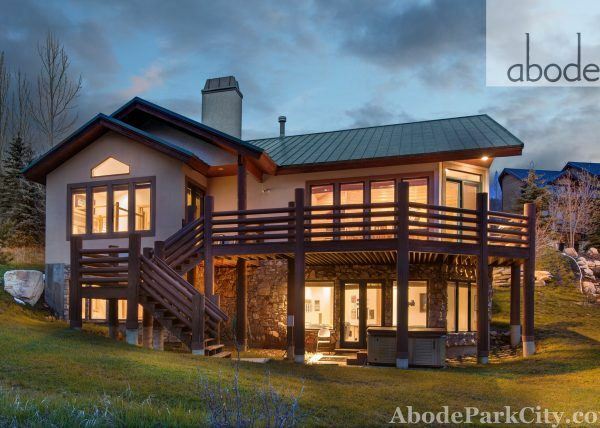 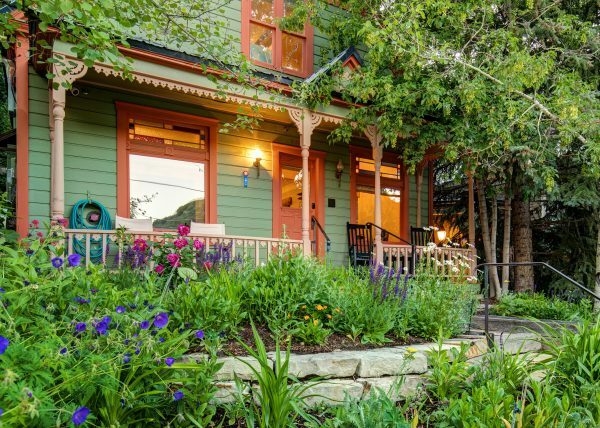 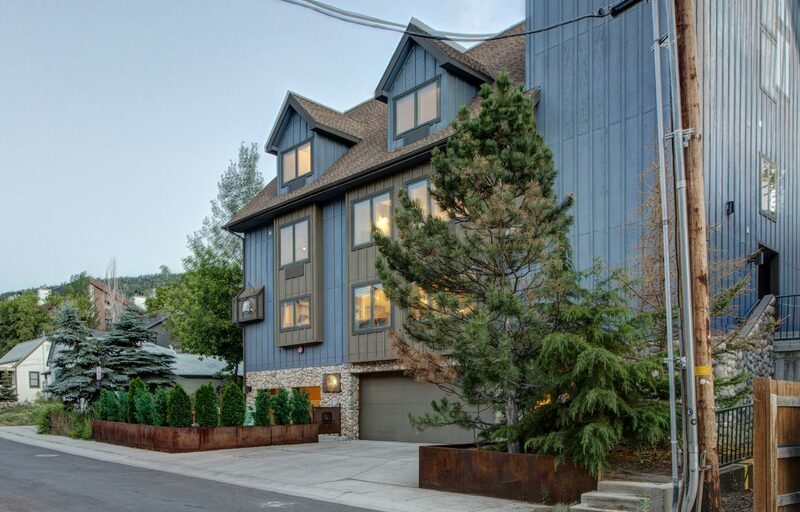 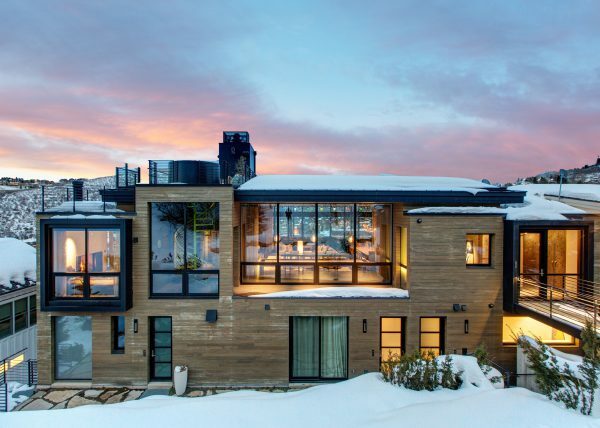 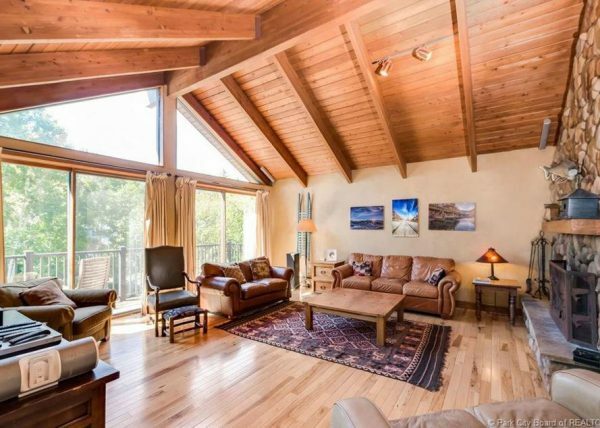 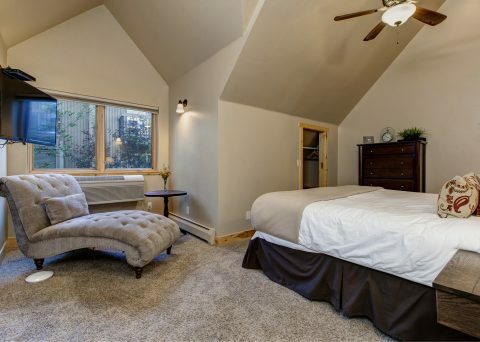 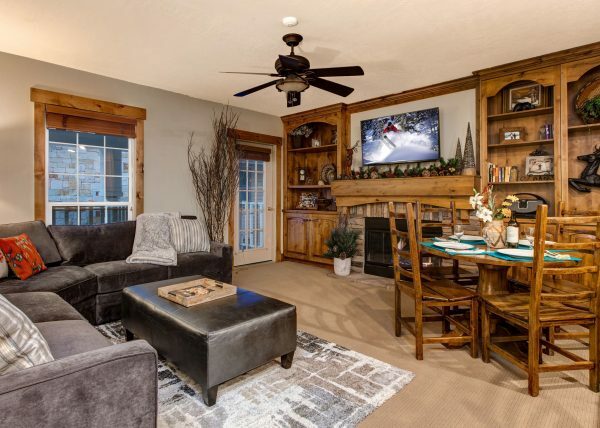 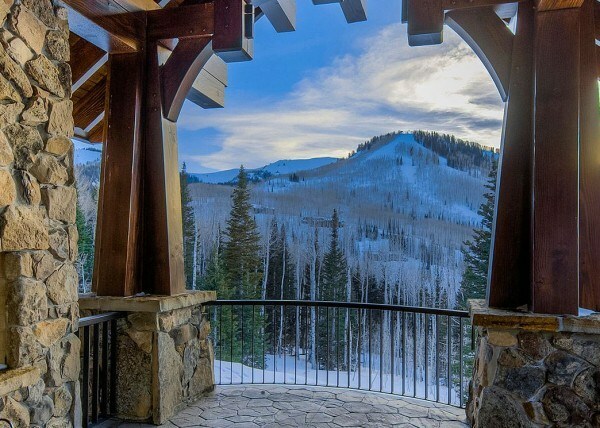 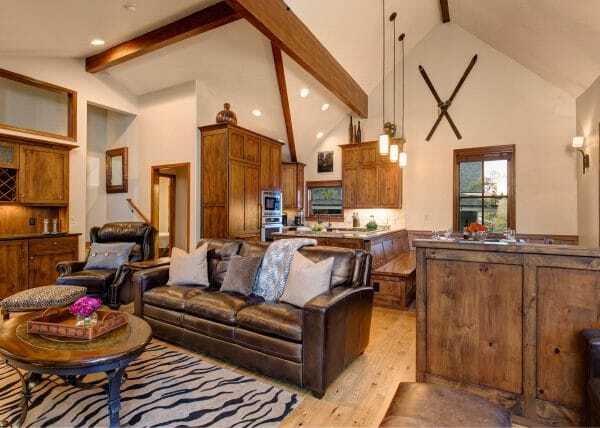 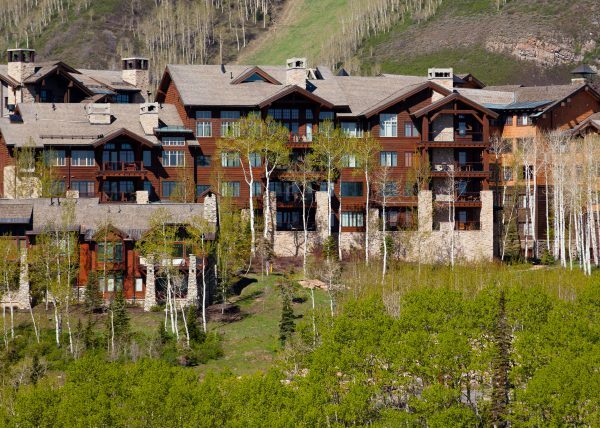 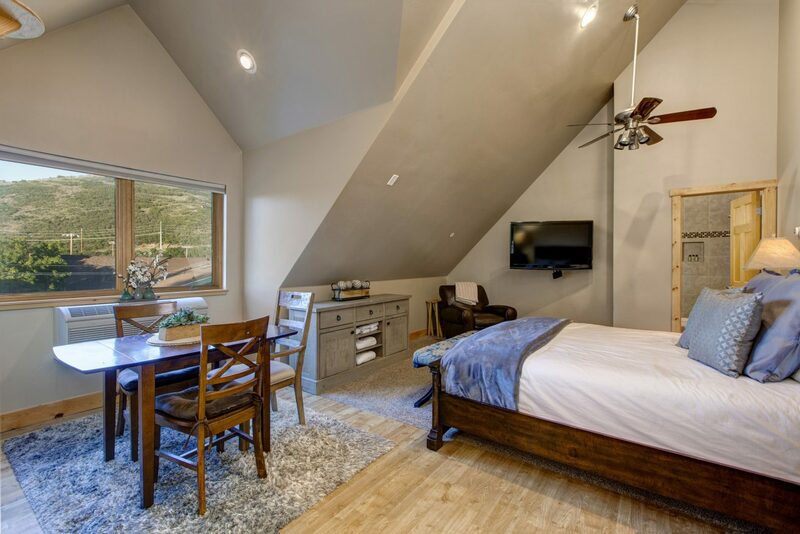 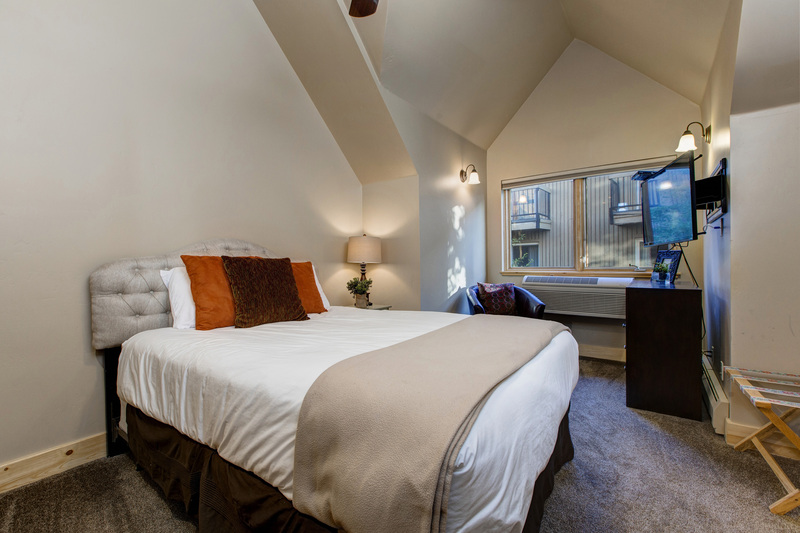 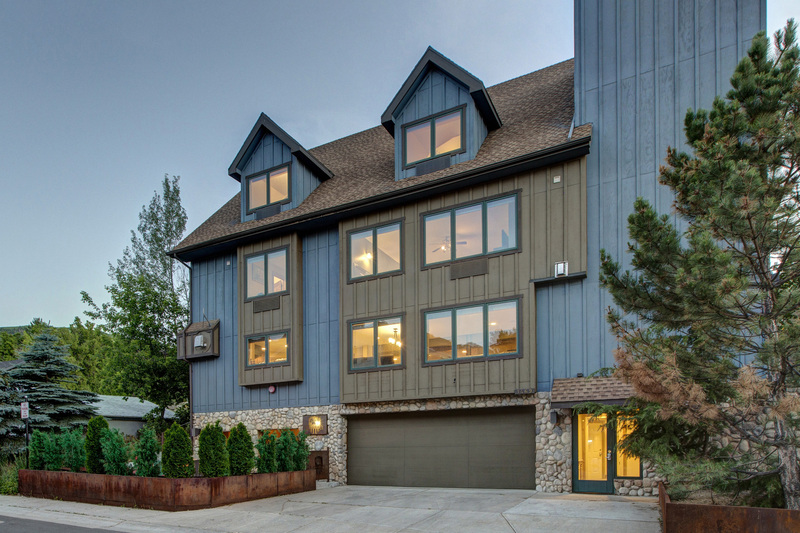 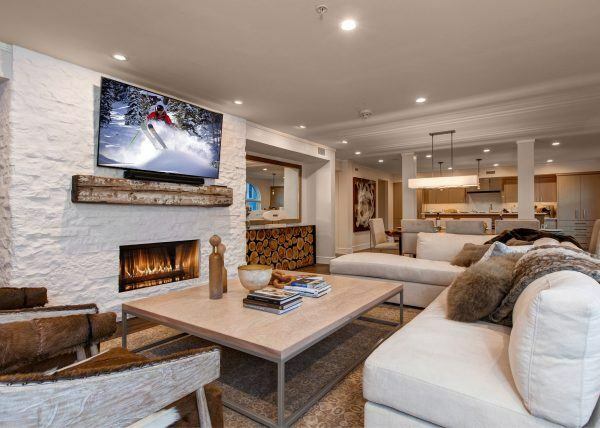 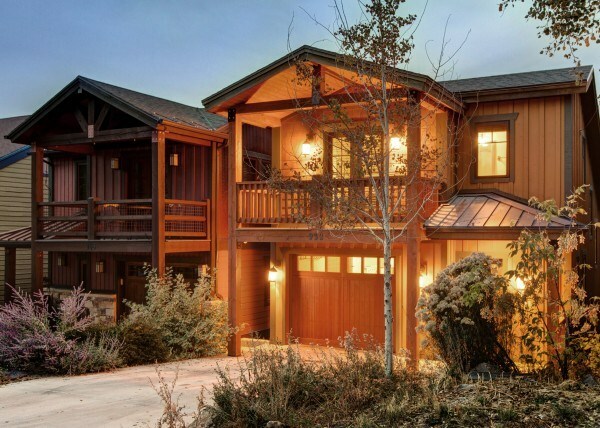 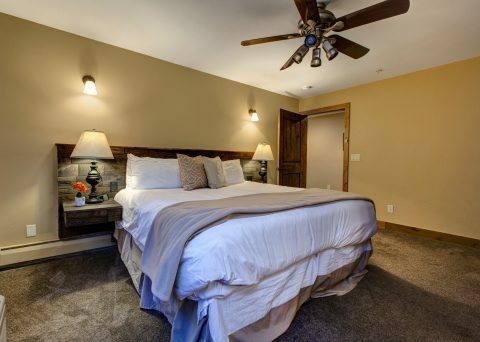 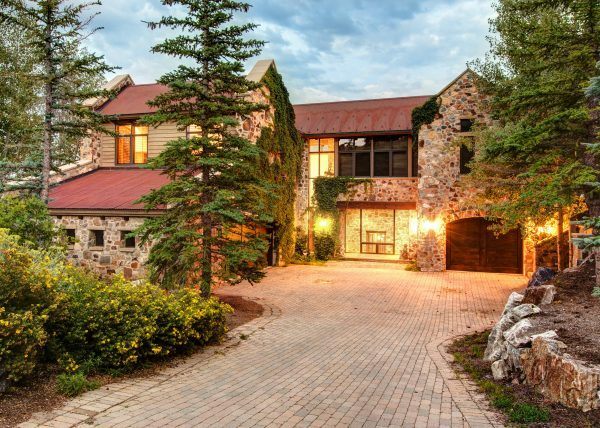 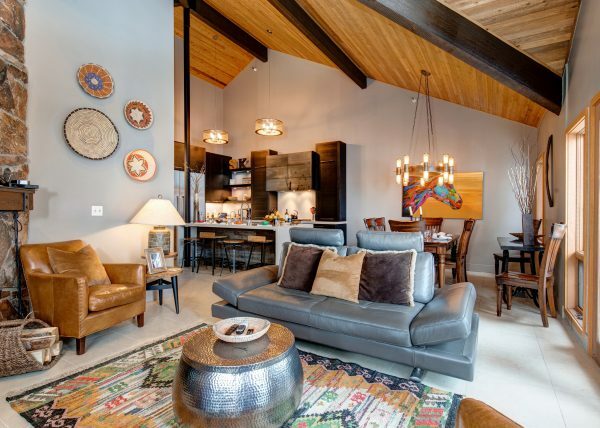 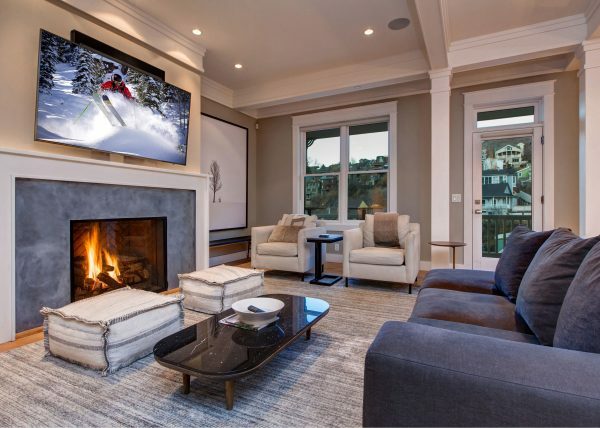 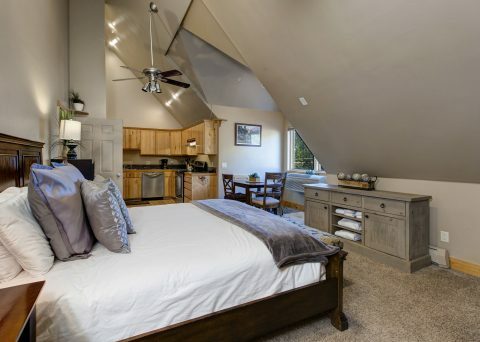 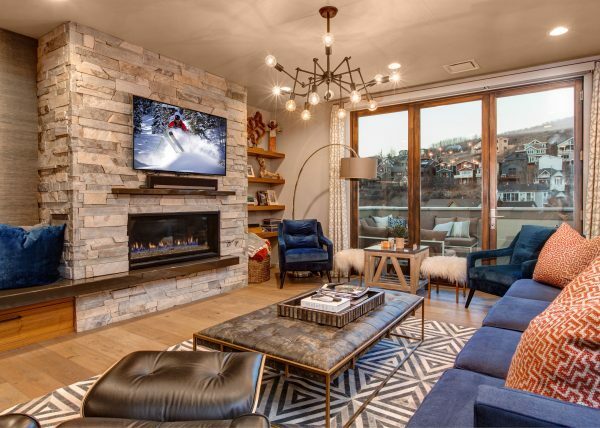 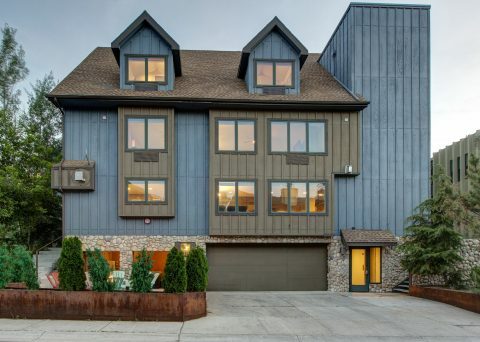 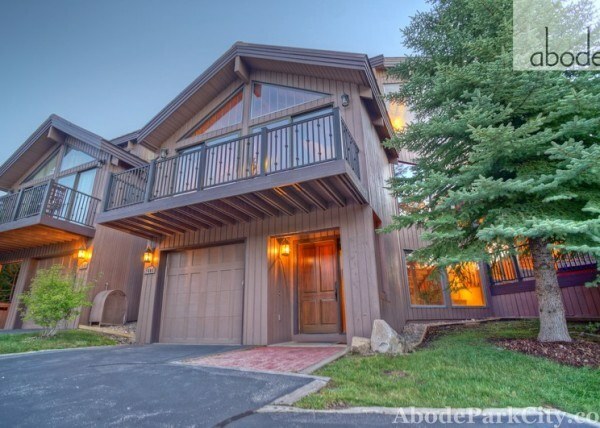 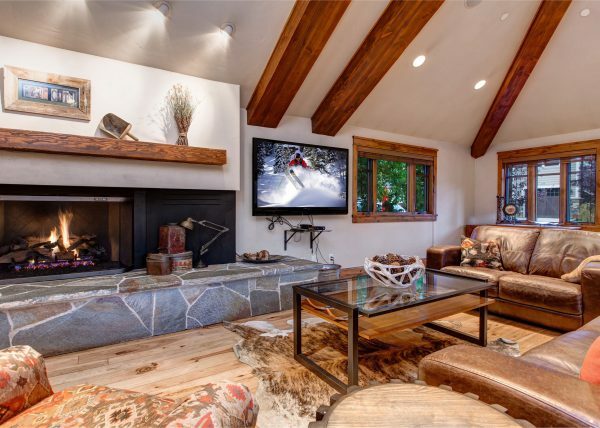 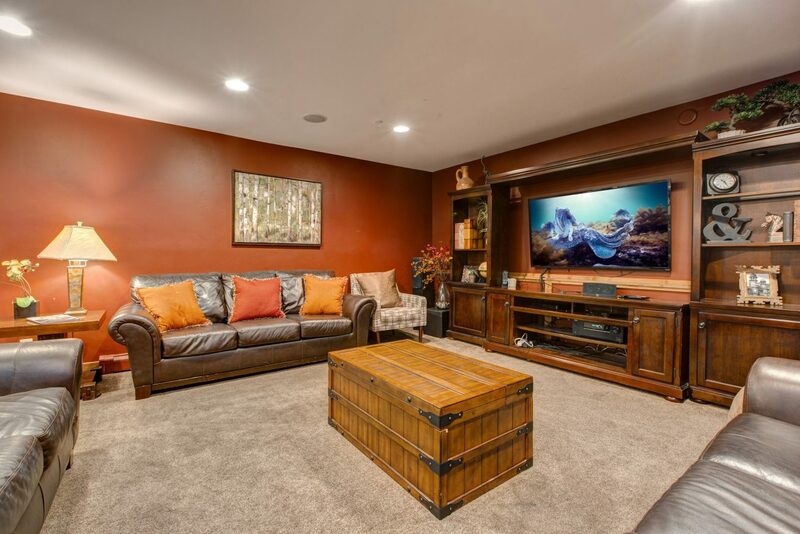 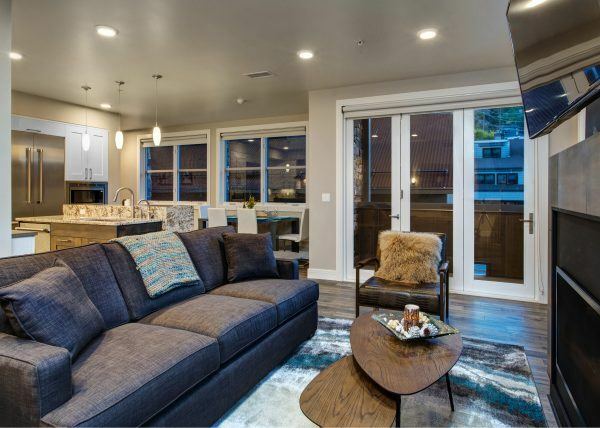 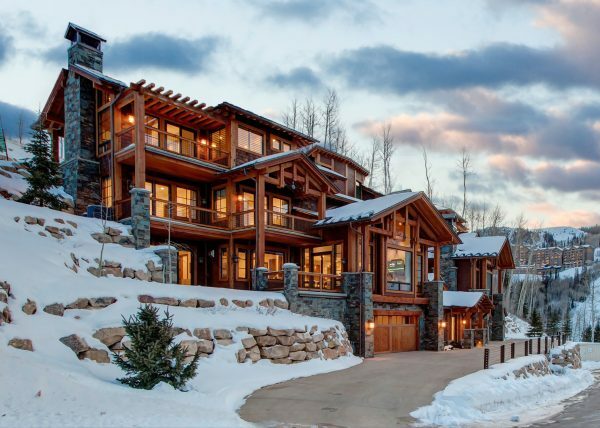 From the lodge’s prime location in Park City’s National Historic District, it’s a short walk to the lifts and base at Park City Mountain Resort and a short drive to the base of Deer Valley Resort. 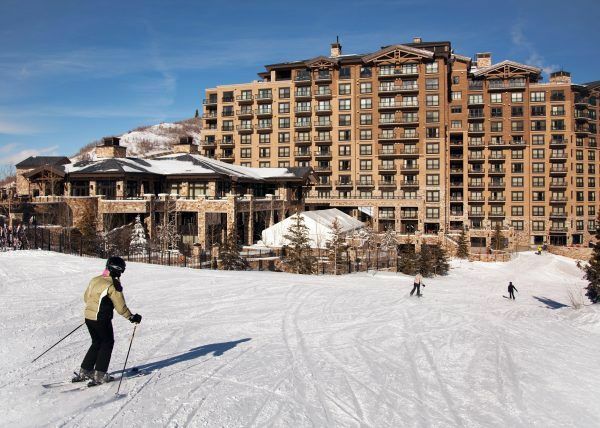 Spend an afternoon or evening strolling Park City’s charming main street, filled with restaurants, boutiques and galleries, or bring the kids to ice skate at the town arena or tour the impressive Utah Olympic Park. 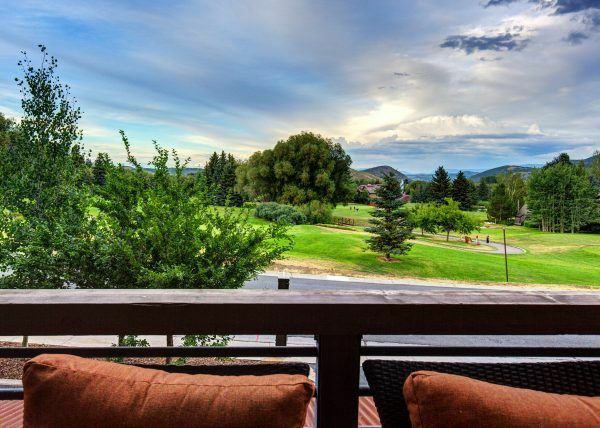 For guests visiting during the summer, it’s about 1 mile to both the town’s weekend market and the nearest golf course. 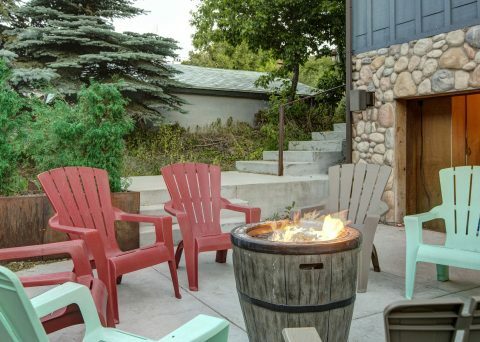 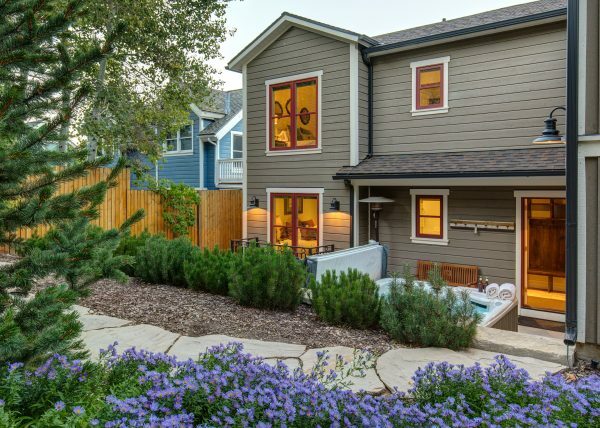 Outdoor Deck | BBQ Grill, Stairway to Woodside Ave.